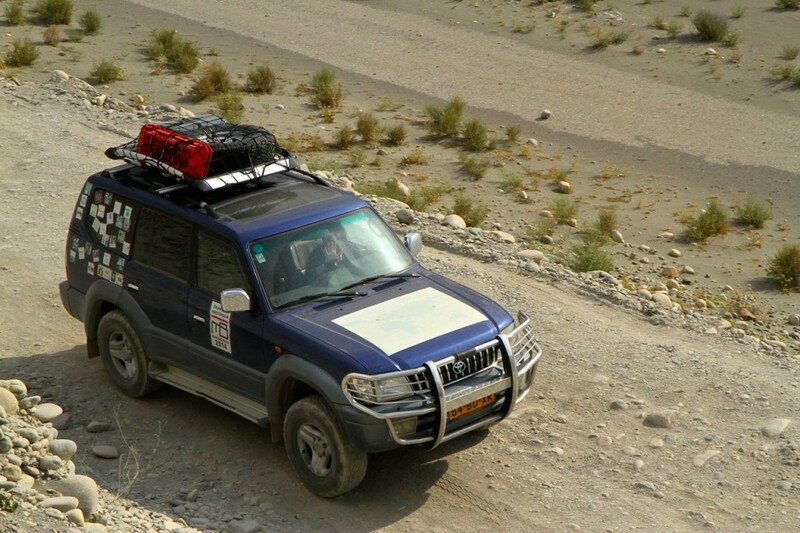 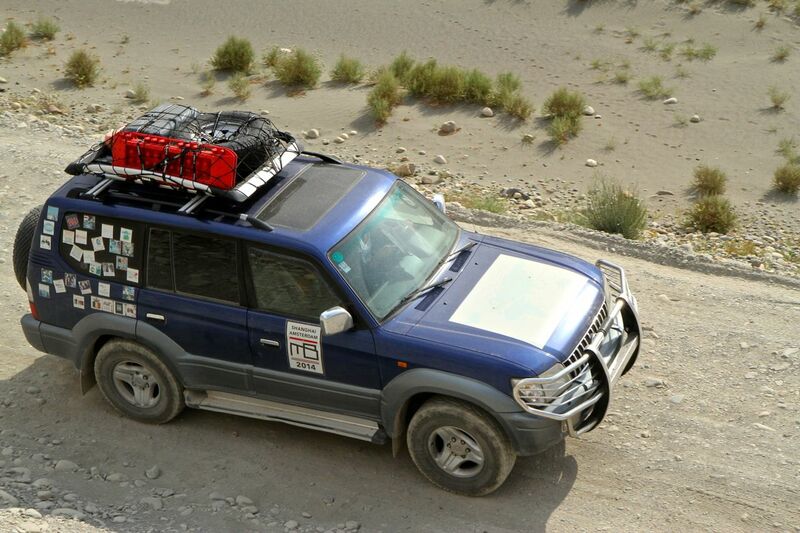 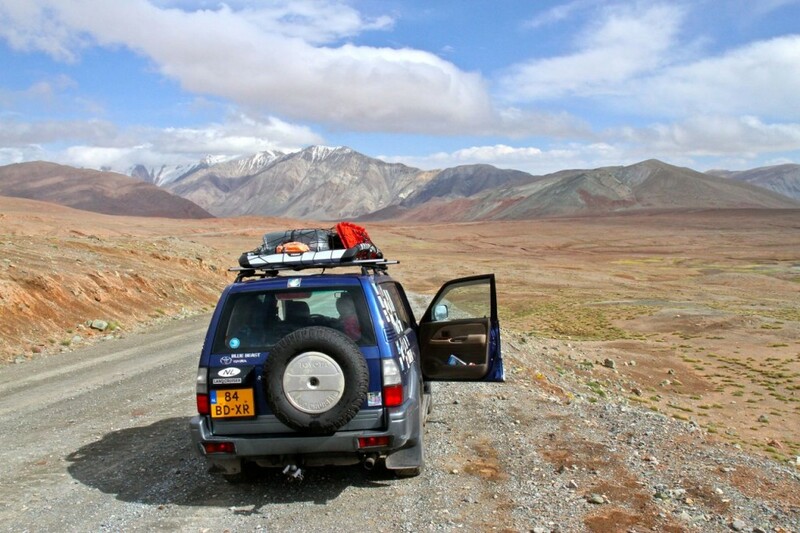 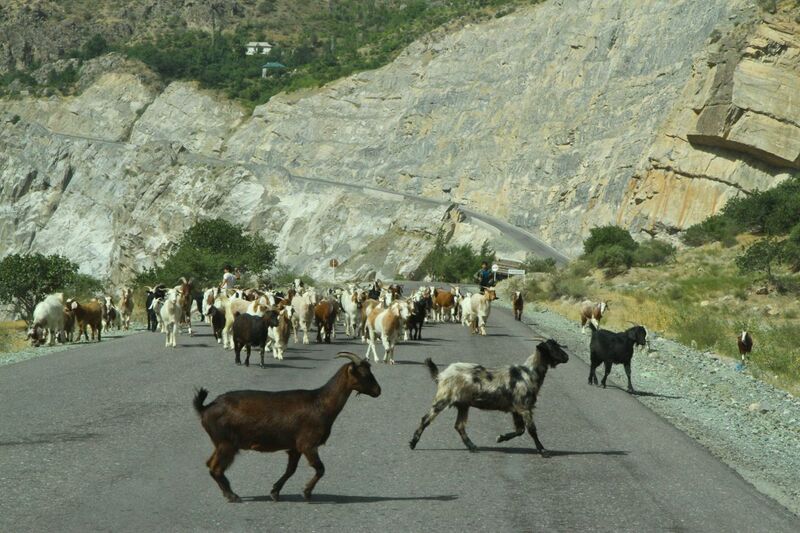 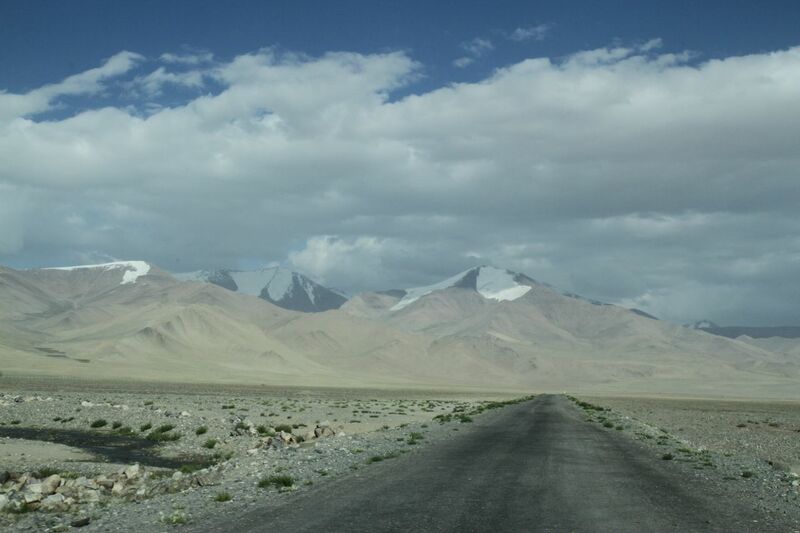 Already since a long time we’ve been very much looking forward to conquer the Pamir Highway once. 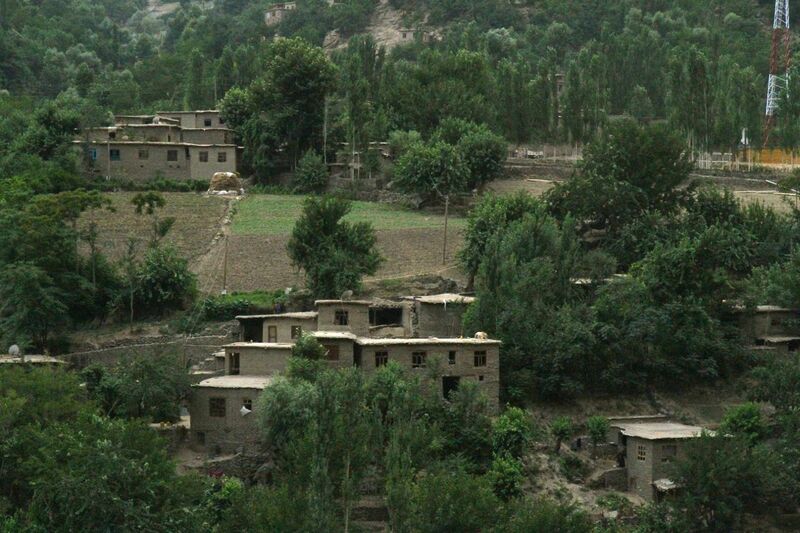 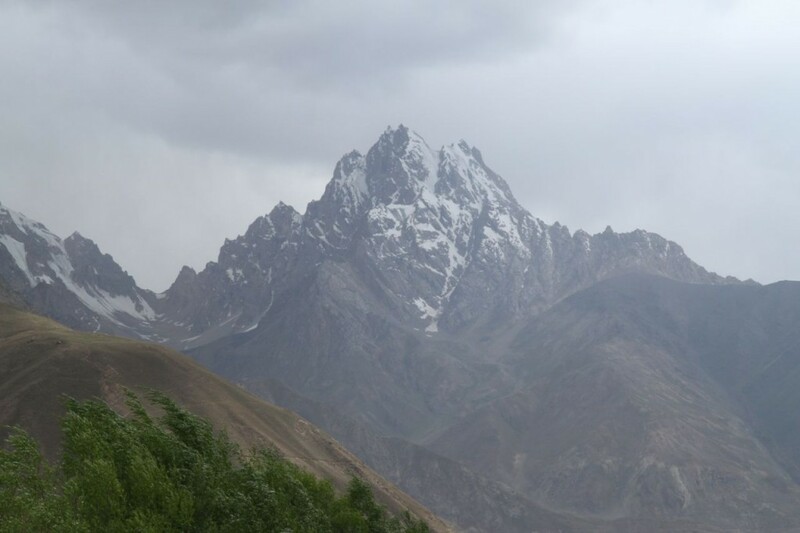 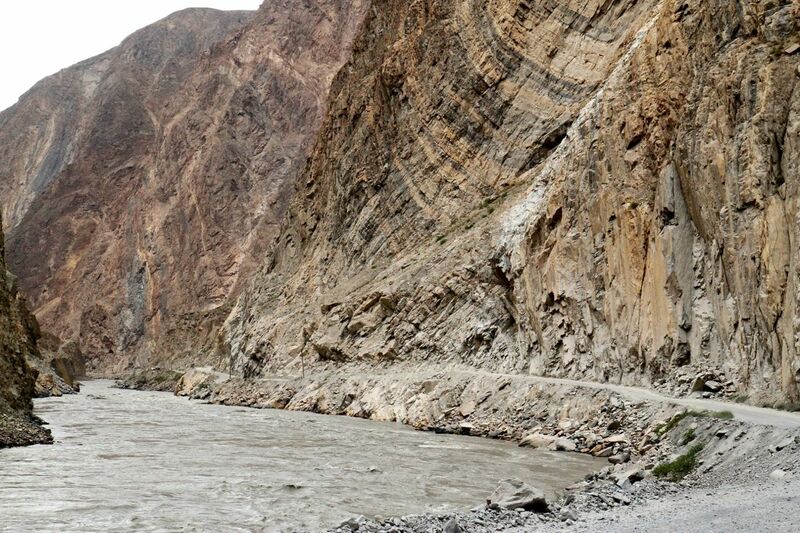 For us the road, together with The Karakoram Highway, has almost mythical proportions, after watching photos of it and reading stories about it. 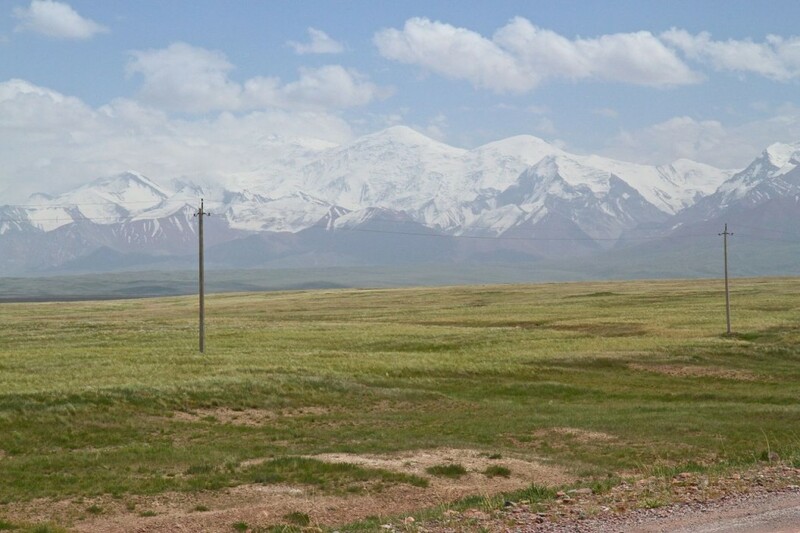 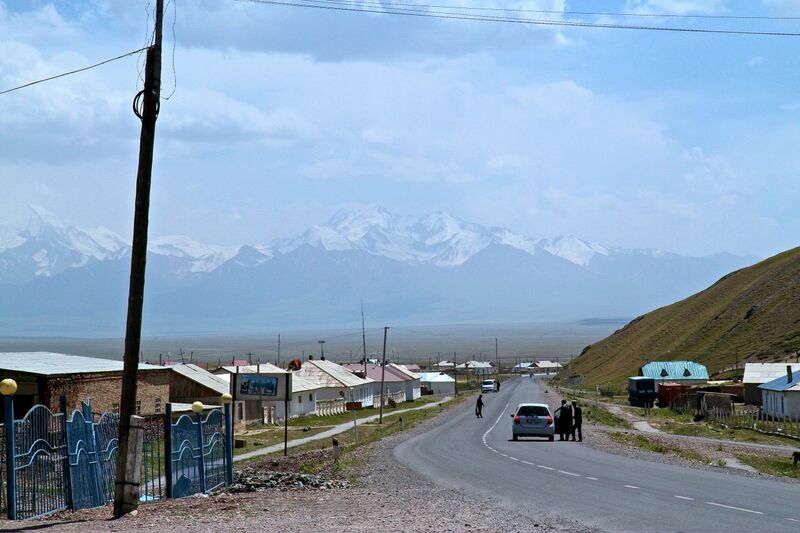 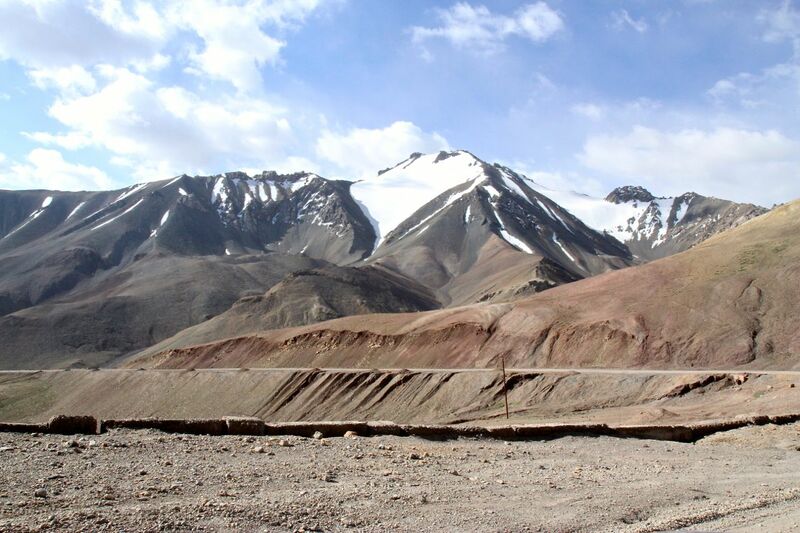 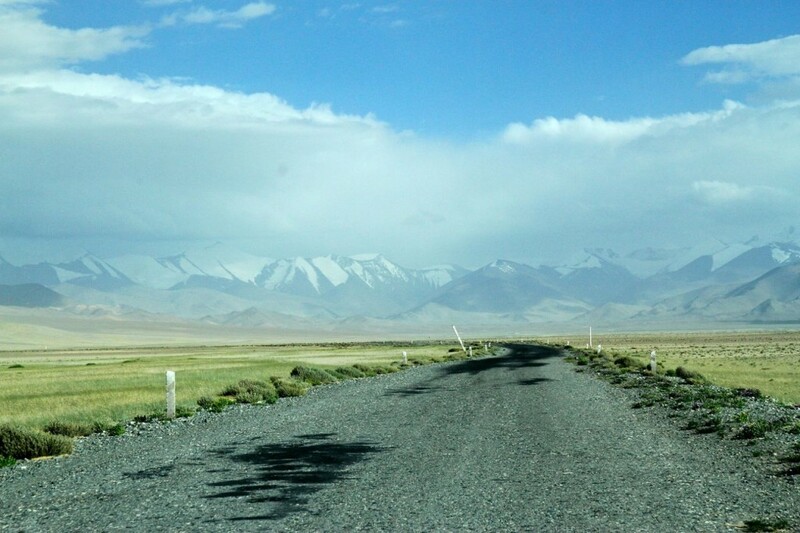 The Pamir Highway is the second highest international highway in the world and traverses through the Pamir Mountain range in Kyrgyzstan and Tajikistan. 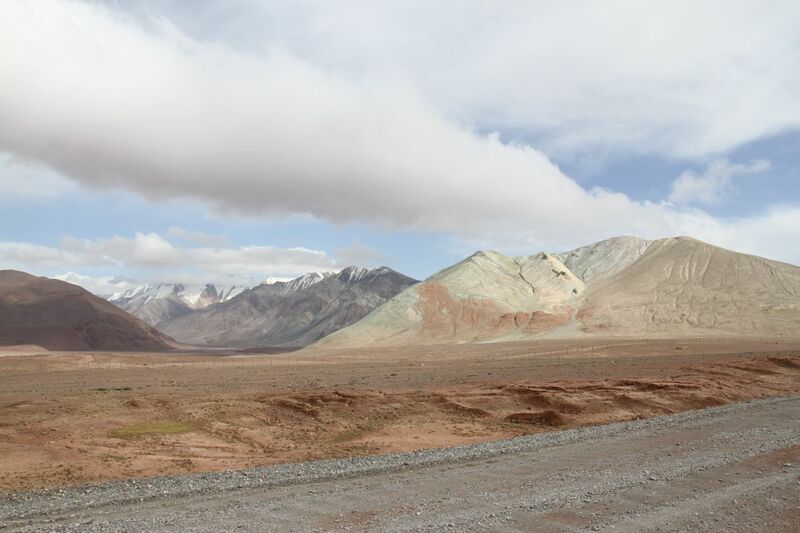 The highest drivable pass is at more than 4650 meters. 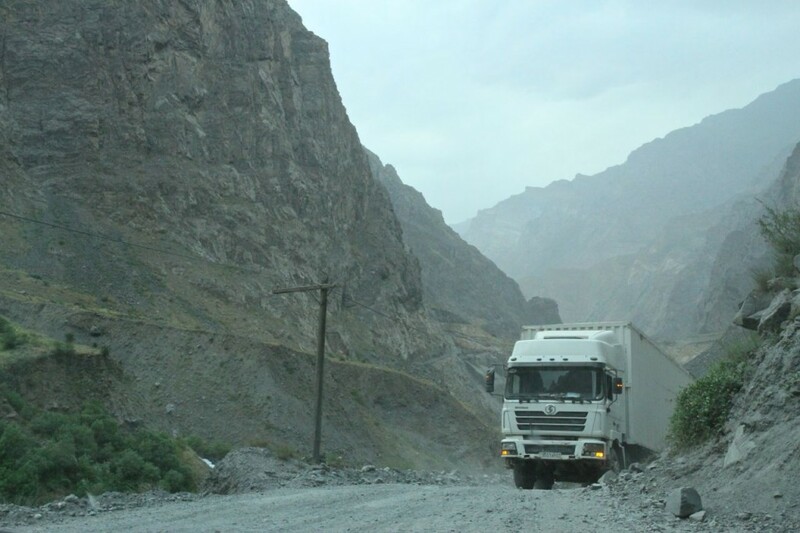 Not only is it the only road though the Pamir Mountains, some of which are more than 7000 meters high, it was also part of the ancient silk road and its trade characteristics are still visible today, since we encountered lots of Chinese trucks struggling their way through the difficult terrain delivering products for the tons of bazaars in Central Asia. 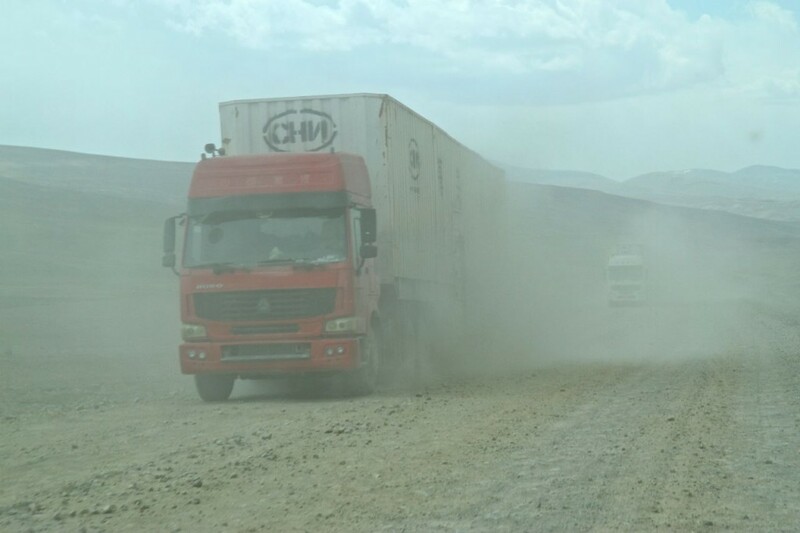 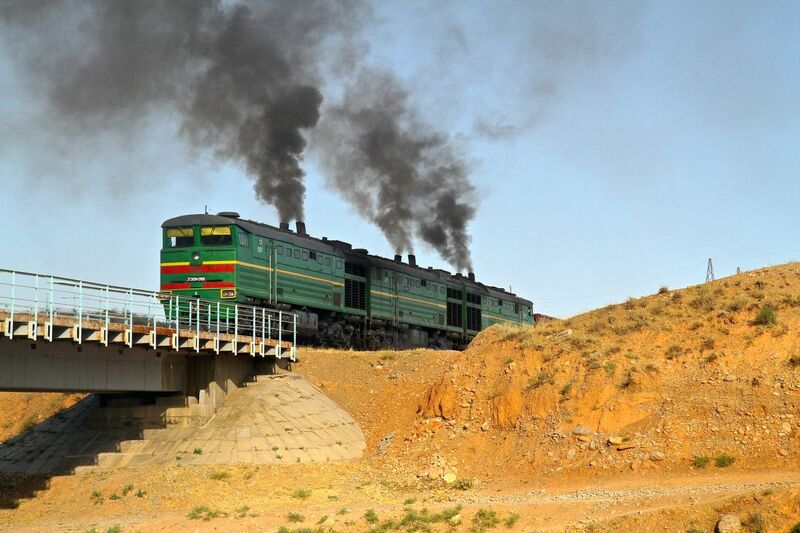 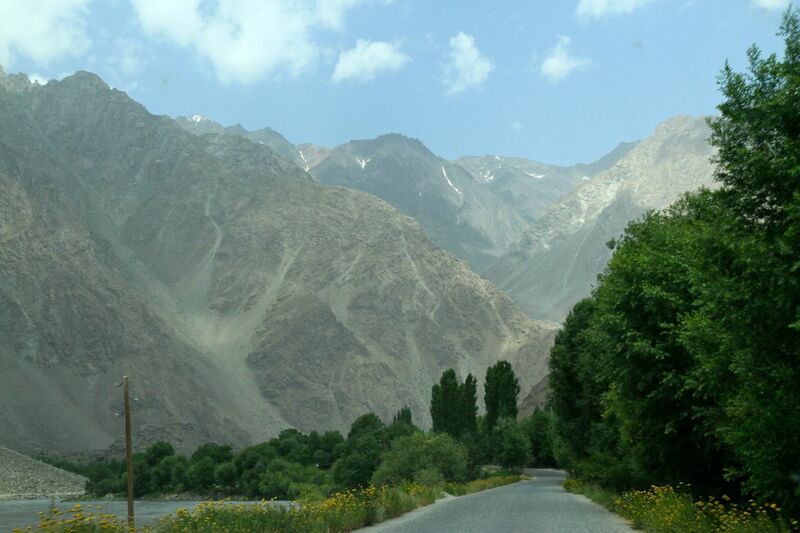 Some websites categorize the Pamir Highway as one of the most dangerous roads in the world, where one steering mistake will lead to certain death, but that’s too much drama we think. 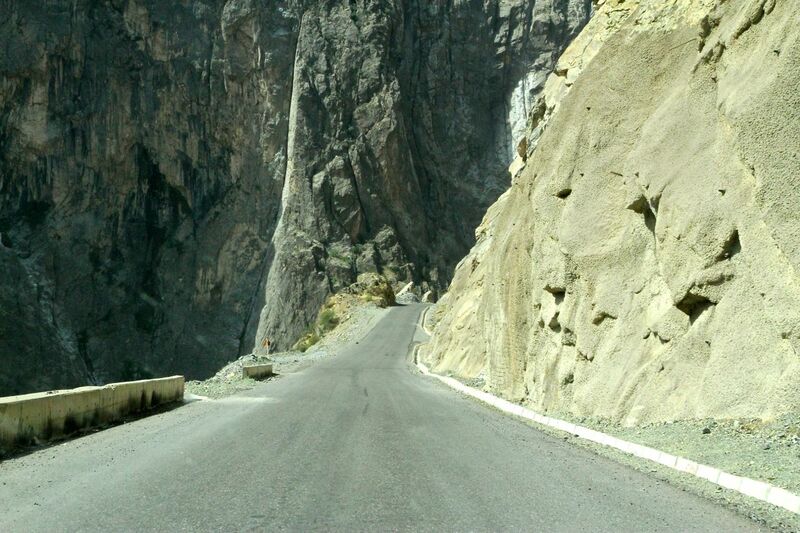 That’s not to say that it IS by far the most challenging and spectacular road we both have ever driven. 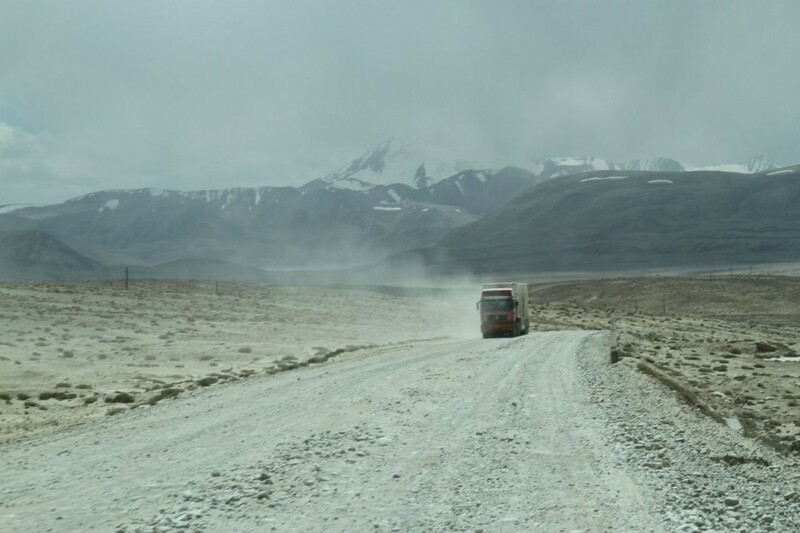 Its hard to describe the feeling we had during our trip. 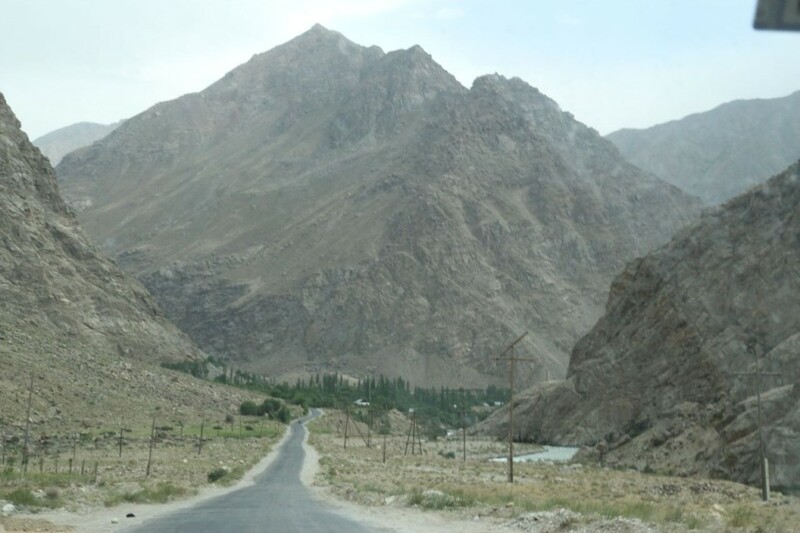 It changed from awesomeness about the surroundings, into fear of driving into the ravines, into excitement of actually driving this road with our own car. 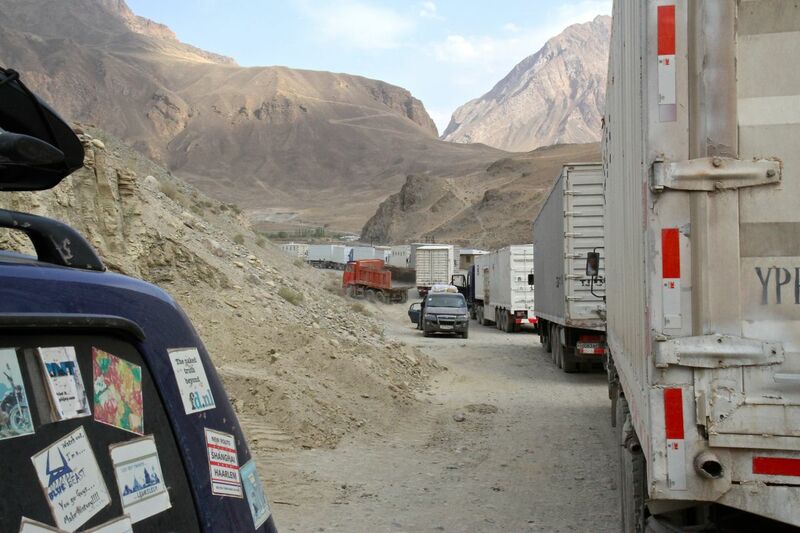 We stopped almost every ten minutes. 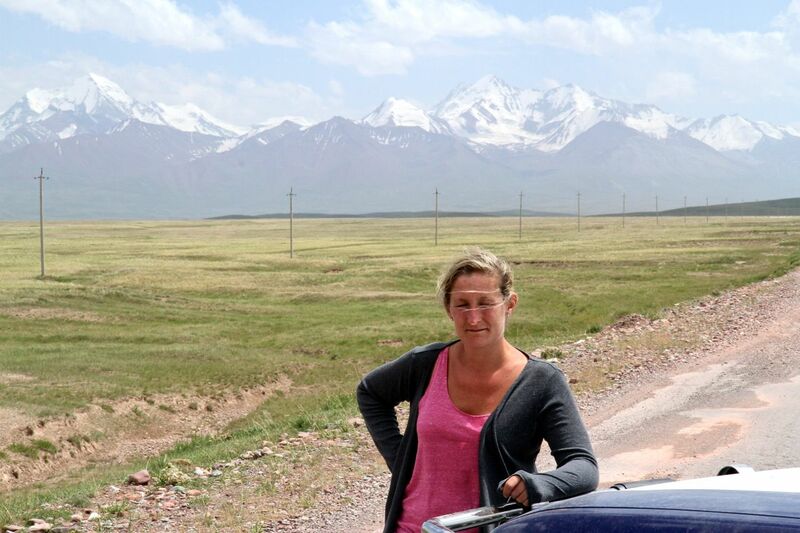 Sometimes because we had to wait for a passing Chinese truck, but more often because we wanted to take another photo. 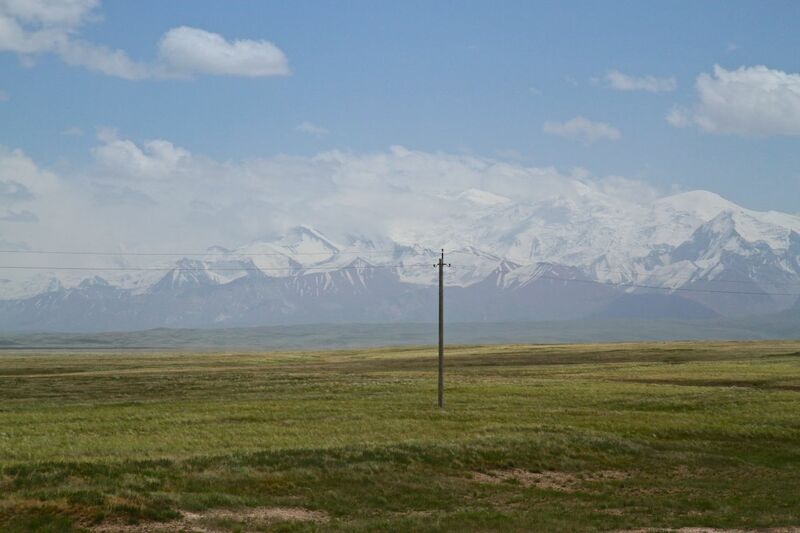 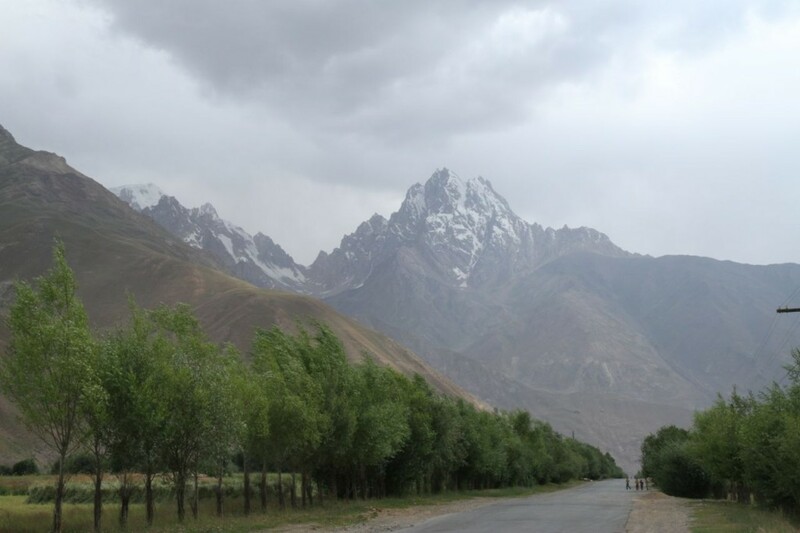 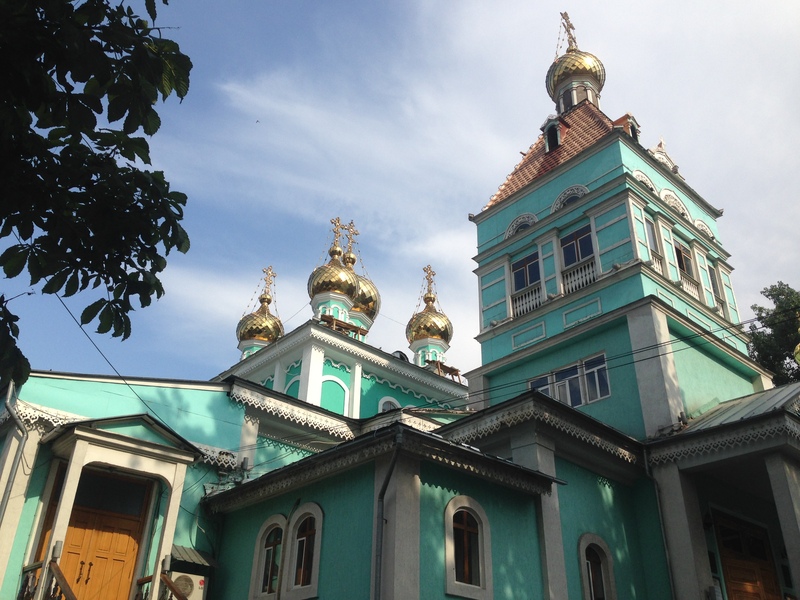 We started our journey in Bishkek on the M41, the official name of the Pamir Highway and followed it until Dushanbe, which took us seven driving days (making stops for overnight stays at Toktugol, Arslanbob, Karakol, Khorog and Kalai Kun/Darwaz). 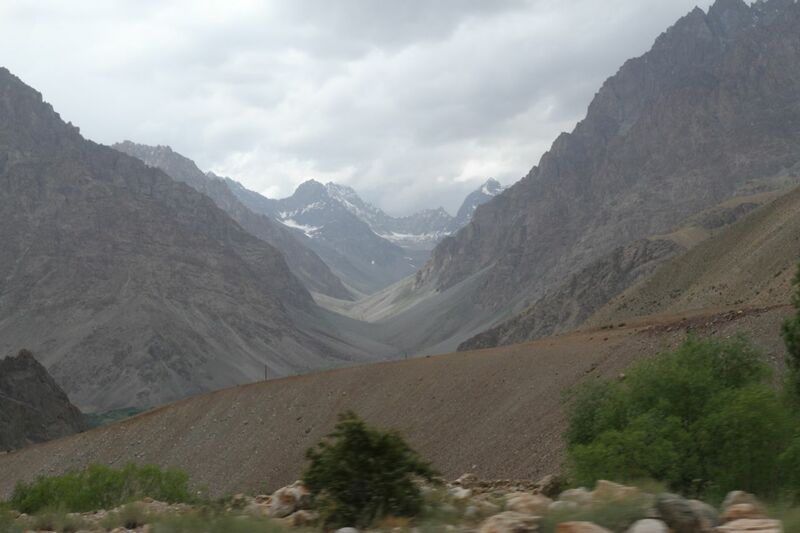 The scenery we came across changed from hills, to turquoise lakes into mountains into lunar landscapes into the highest mountain passes we’ve ever conquered. 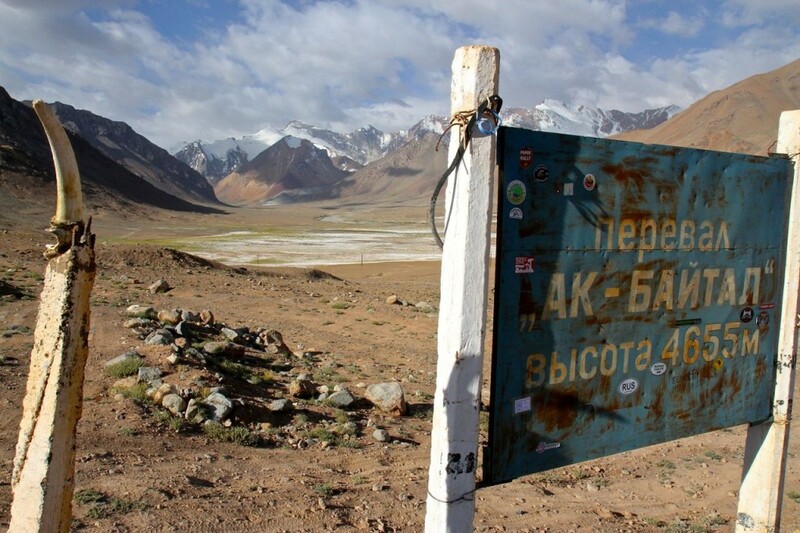 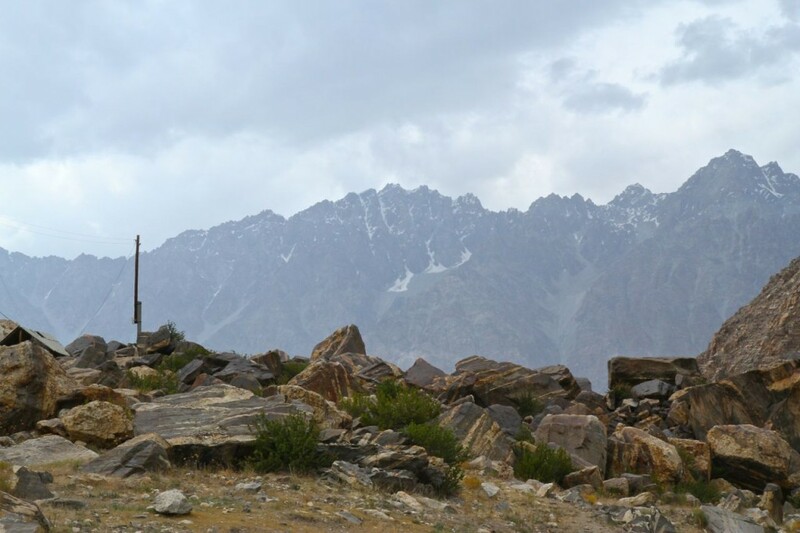 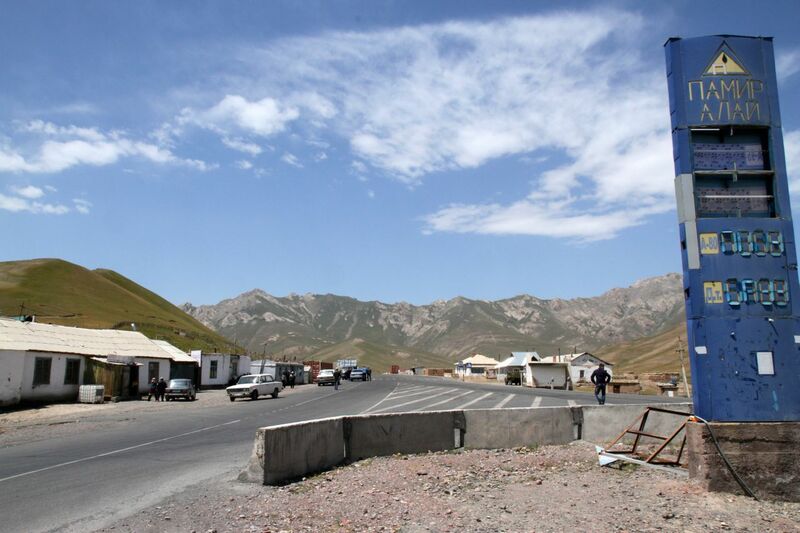 Even the border post between Kyrgyzstan and Tajikistan is at 4200 meters. 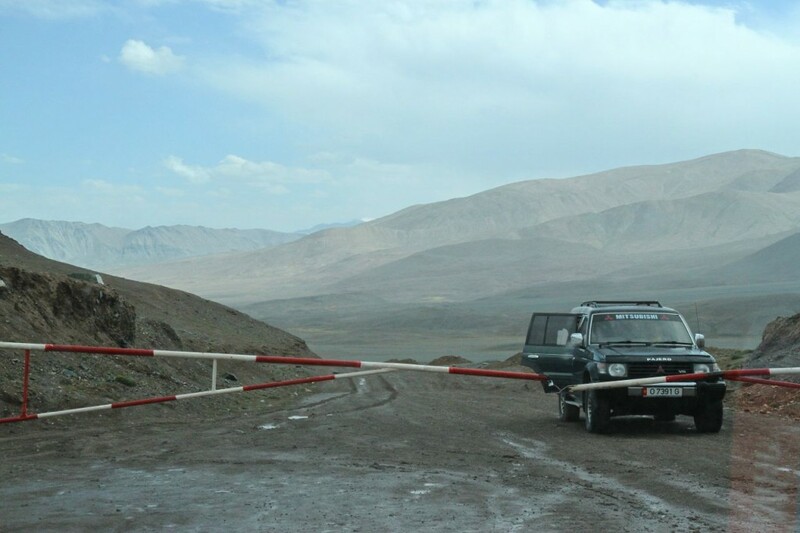 When we approached the border, it suddenly started to rain heavily, making the border crossing something really special (and cold). 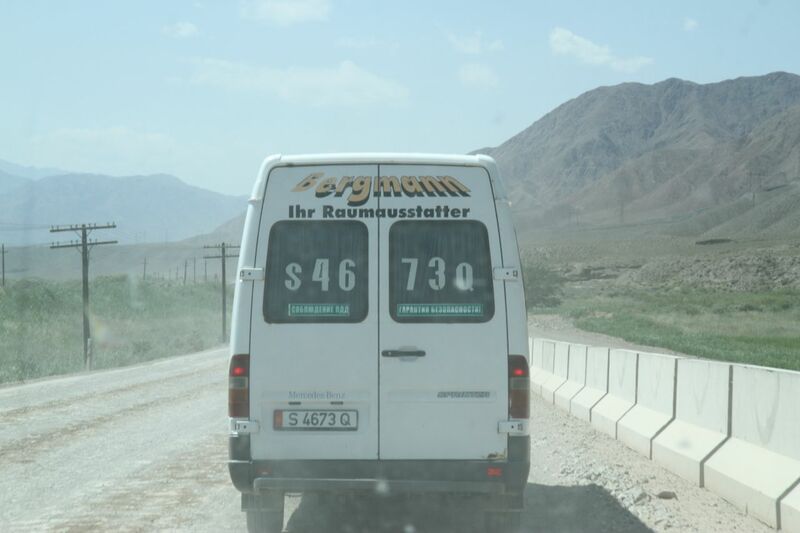 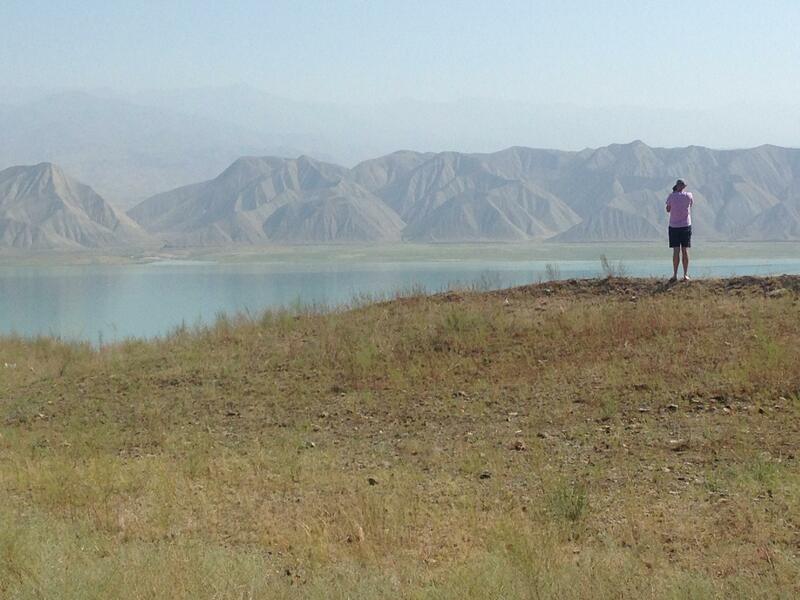 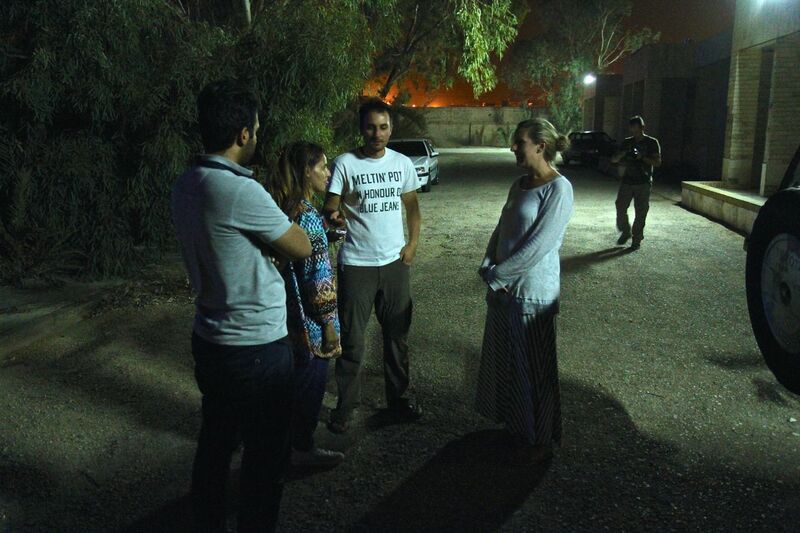 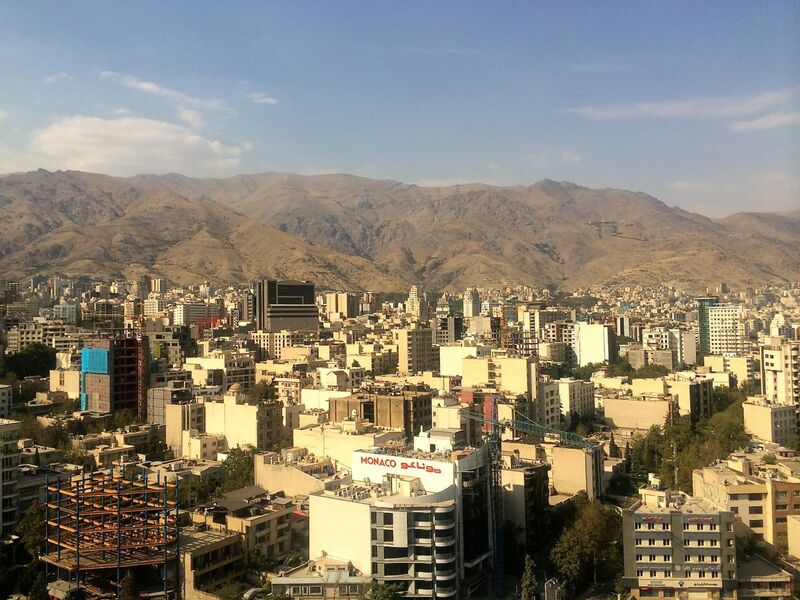 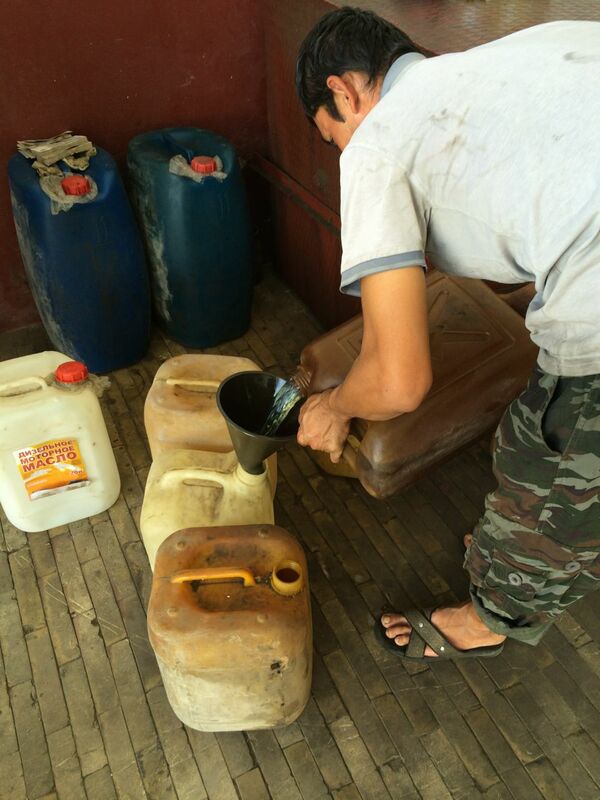 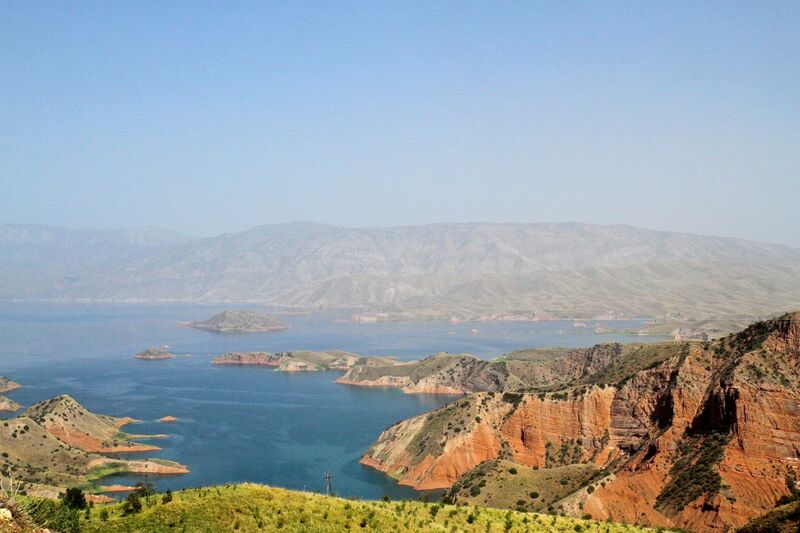 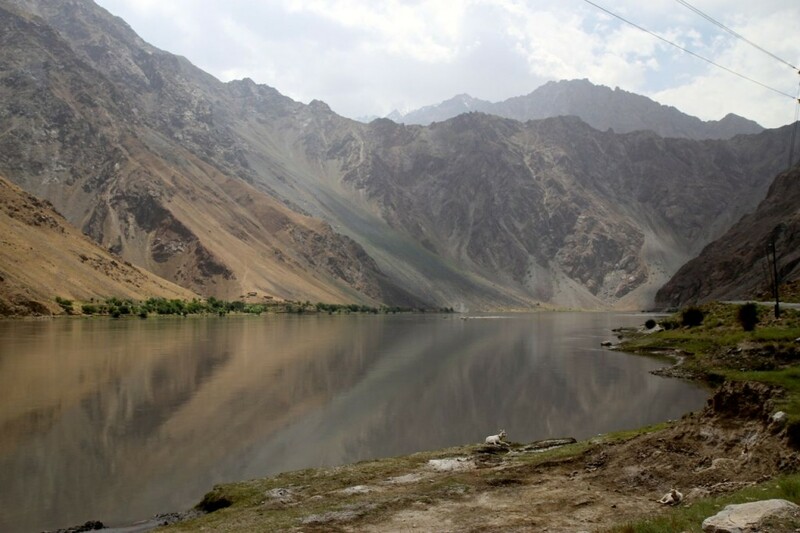 After giving the border official a can of Knakworsten and paying a couple of tens of dollars for some form, which Mirian thought was a scam, we entered Tajikistan. 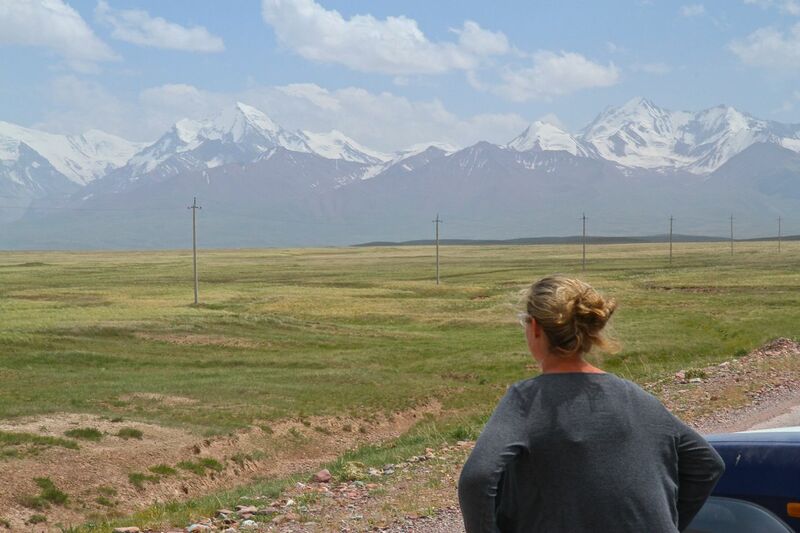 There were so many highlights it’s impossible to pick just one, but we found the stretches between Bishkek and Osh and along the border with Afghanistan (from Khorog to Darwaz) to be the most spectacular. 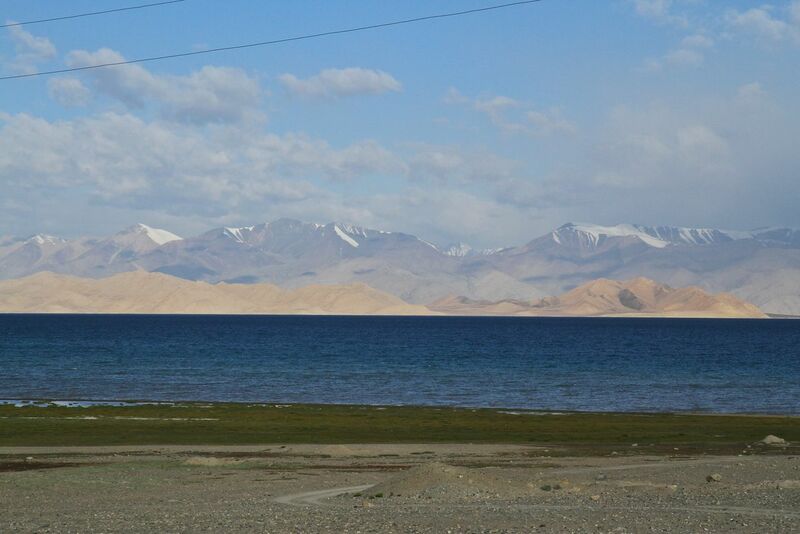 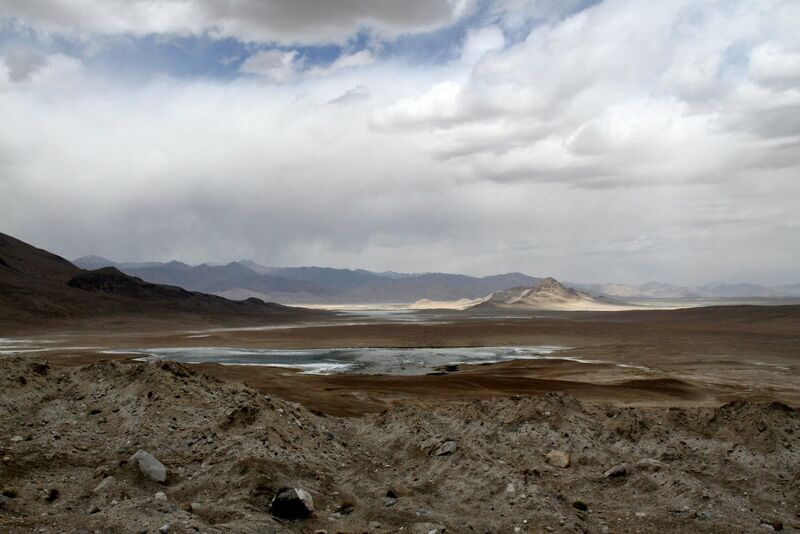 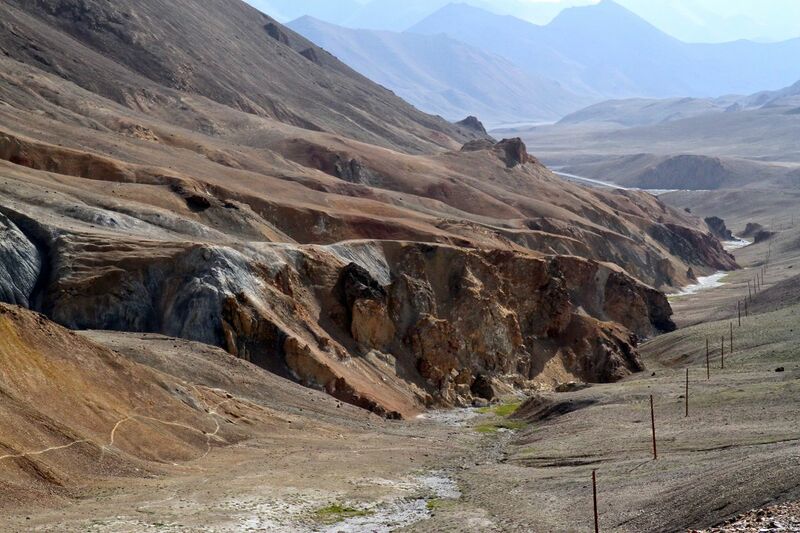 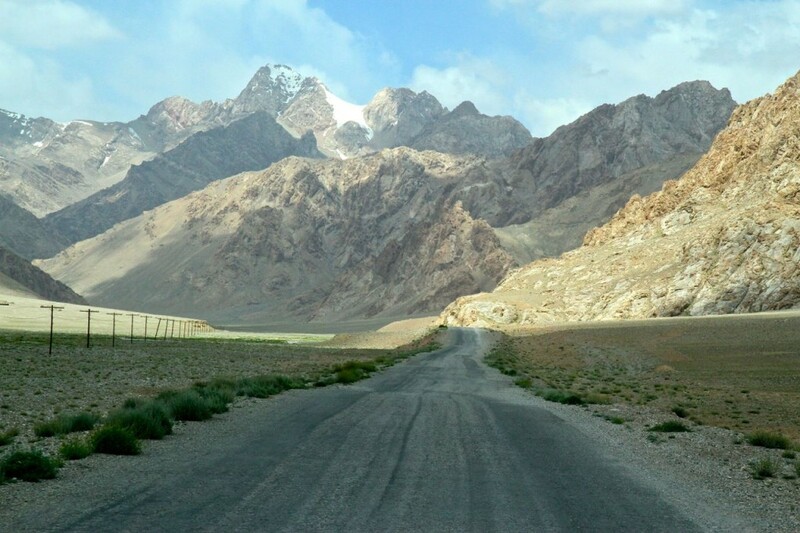 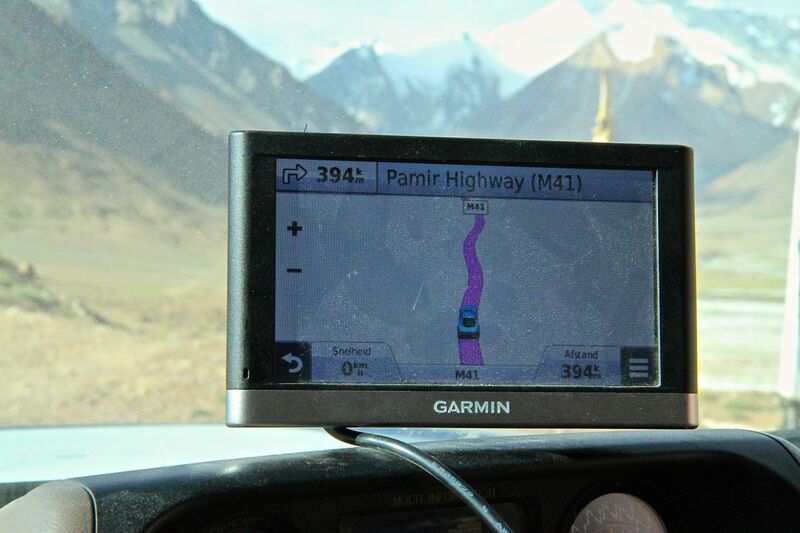 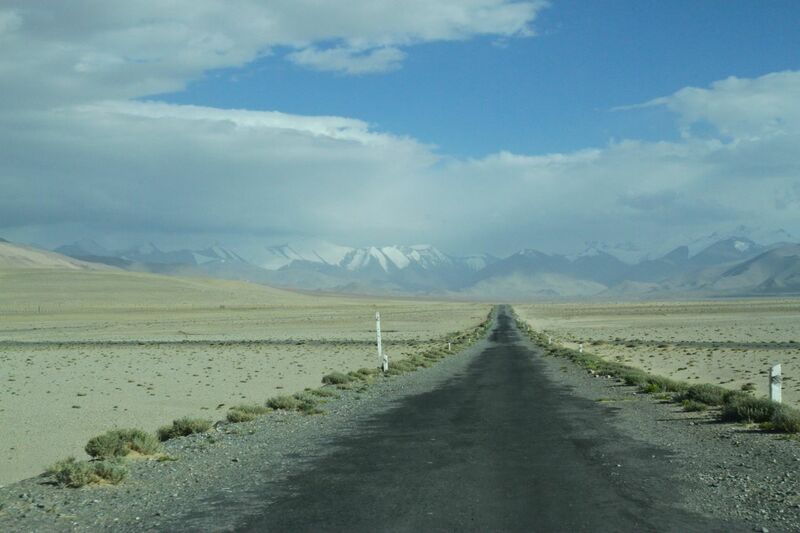 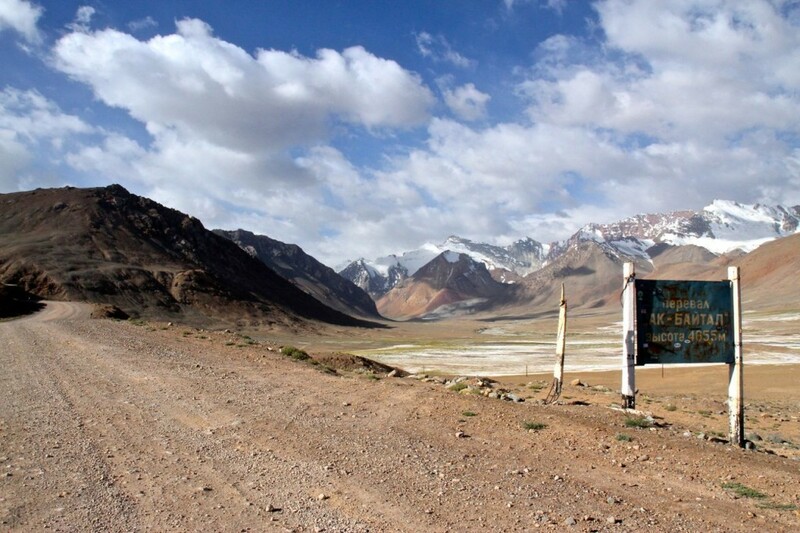 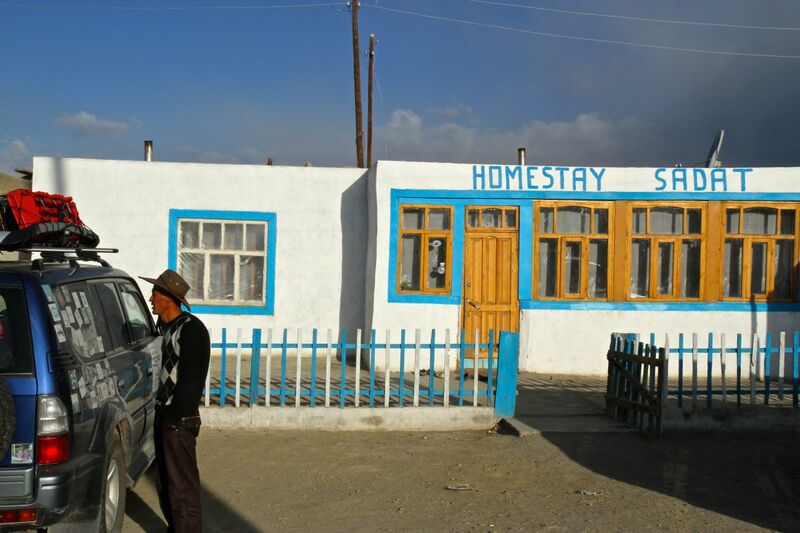 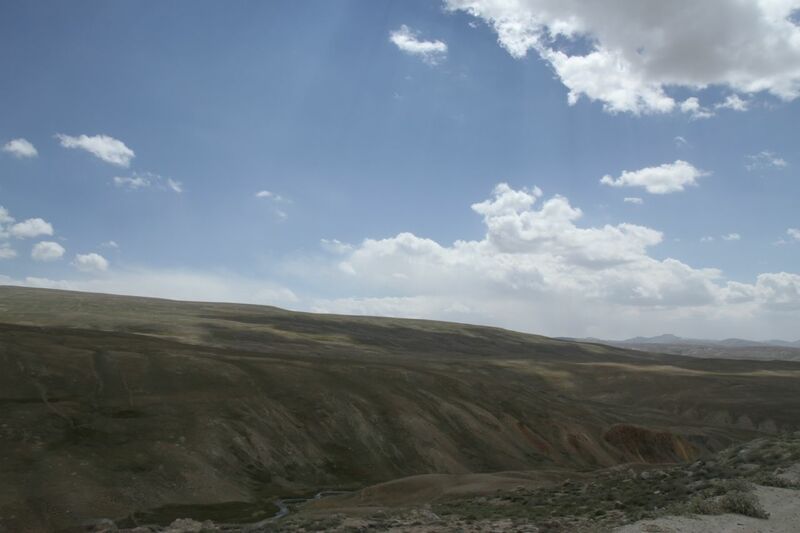 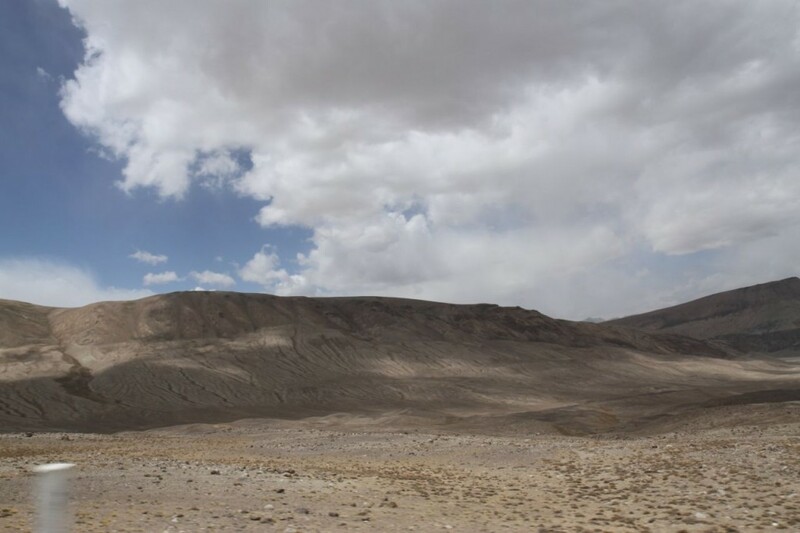 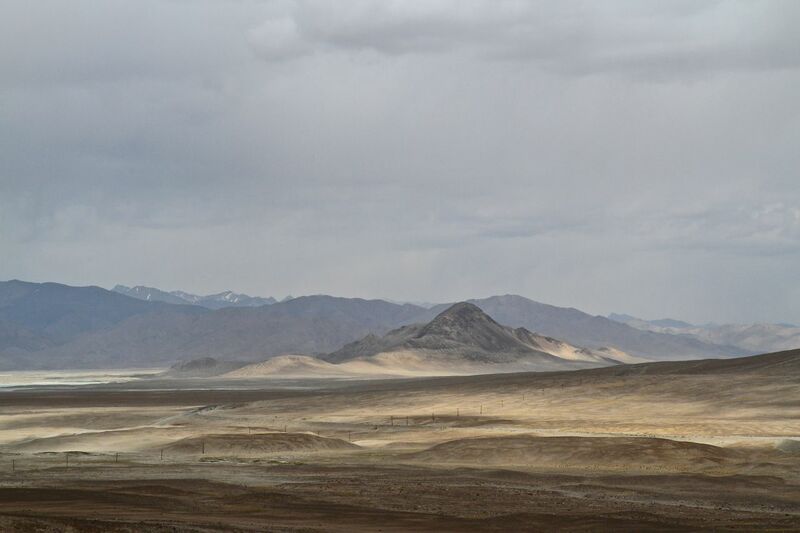 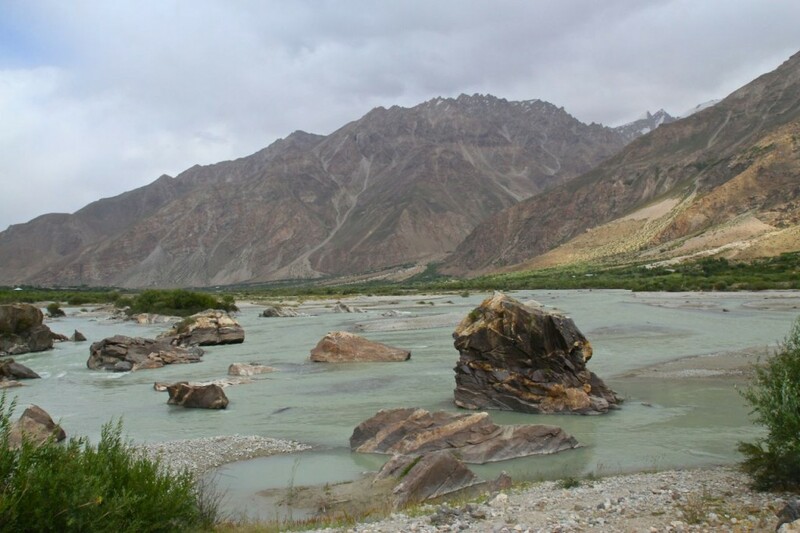 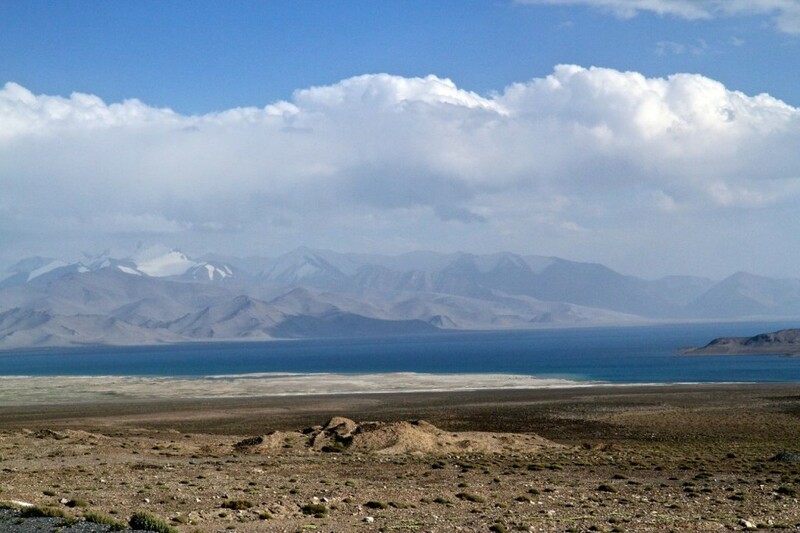 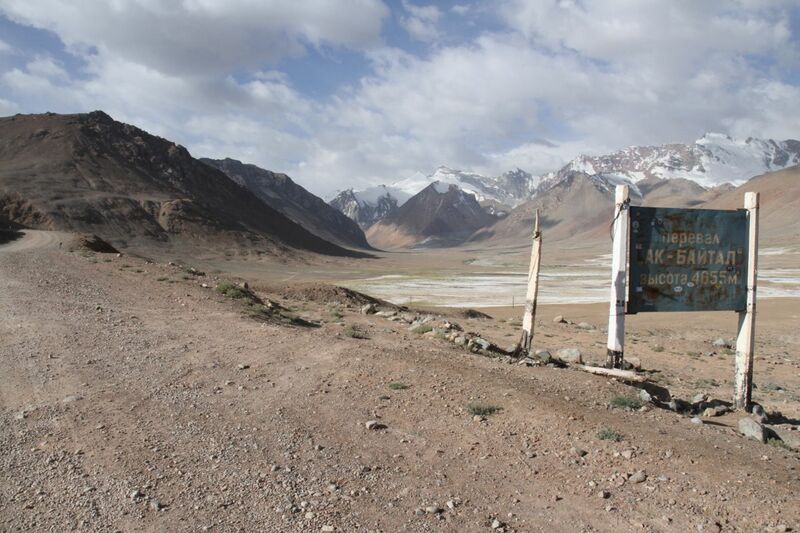 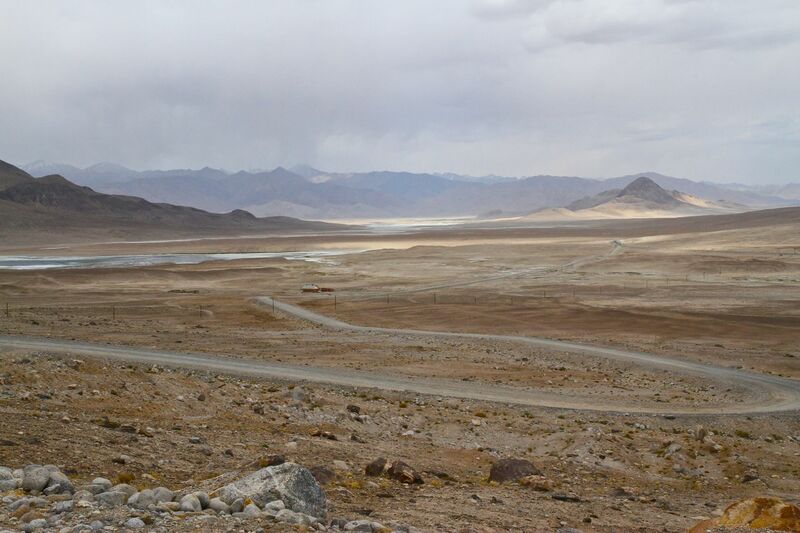 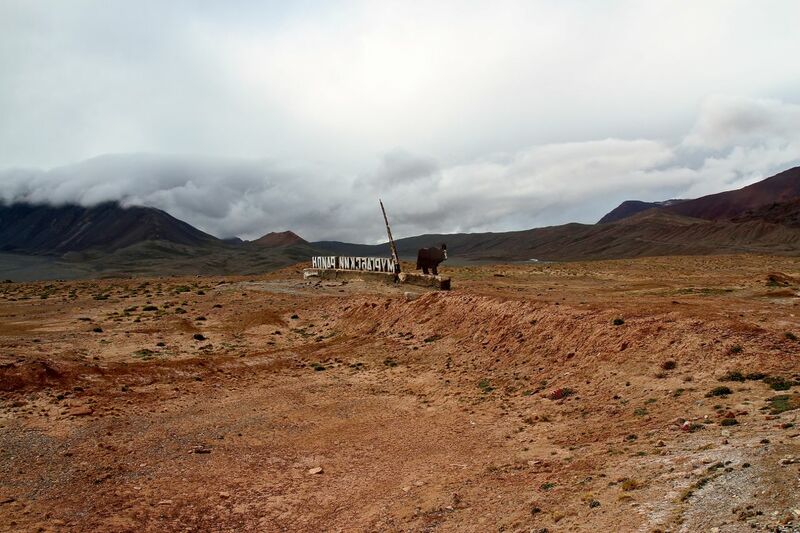 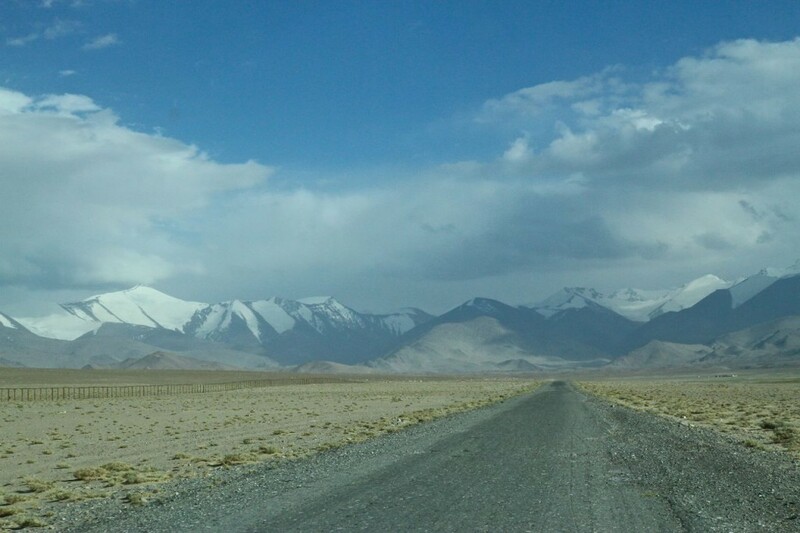 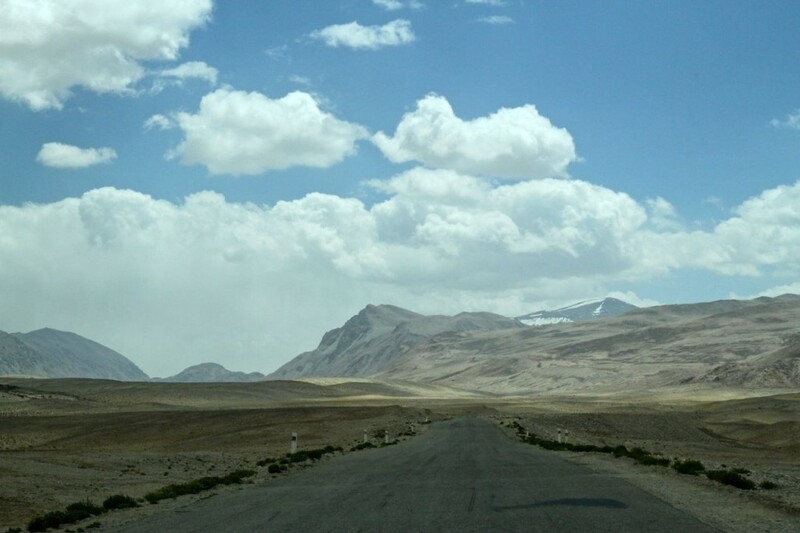 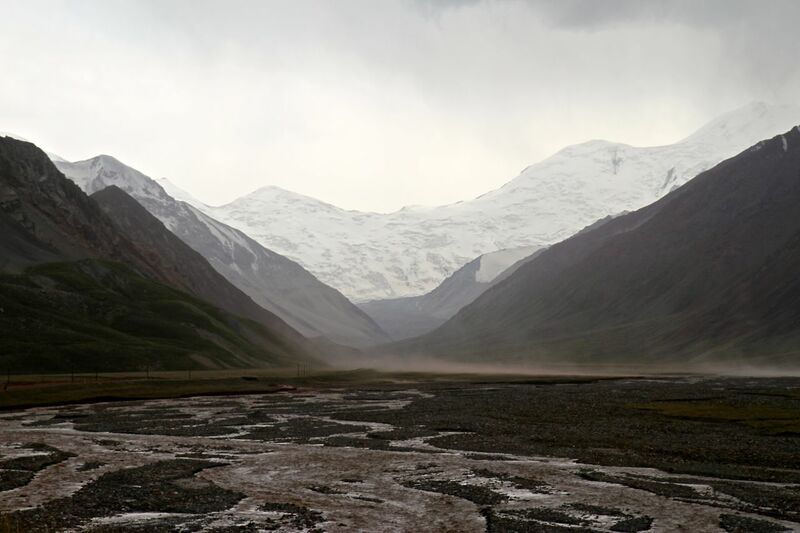 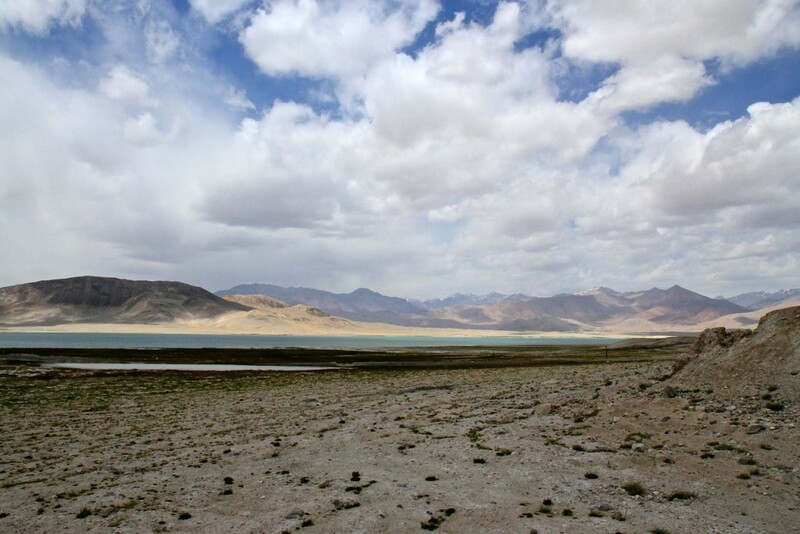 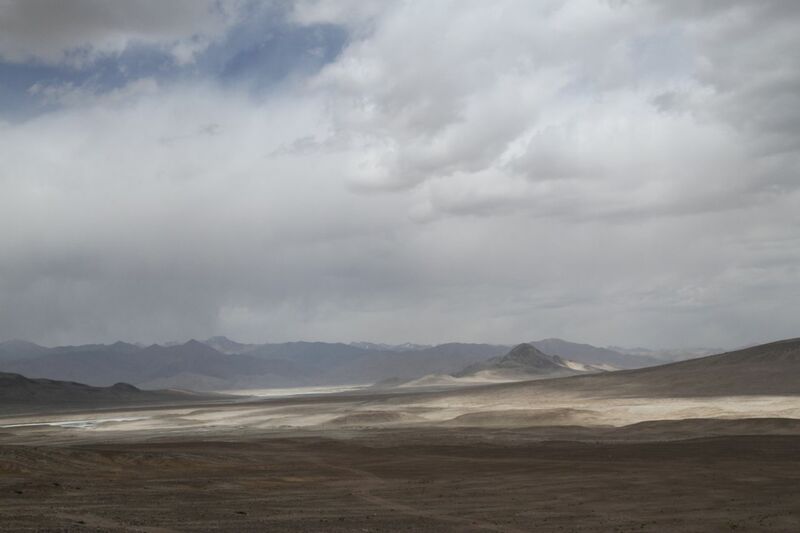 The name Pamir Highway suggests it’s a highway, but it’s far from that. 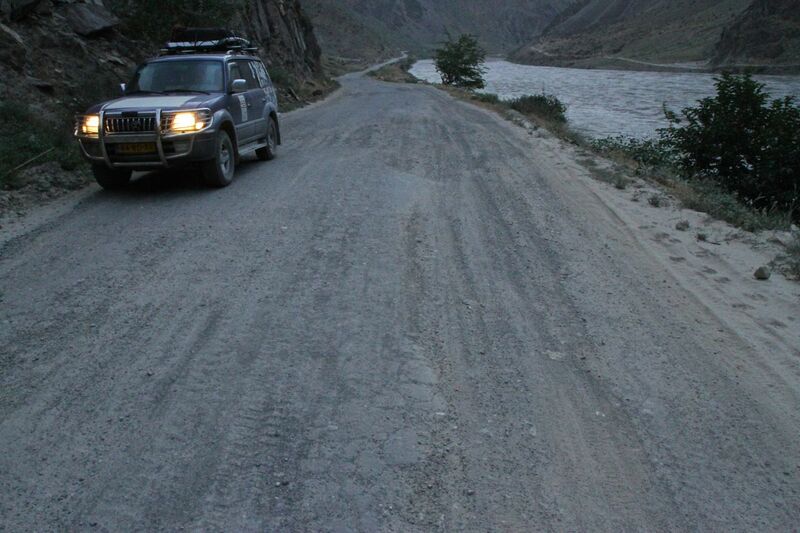 Part of the road is paved, but most of the stretches are just plain rocks. 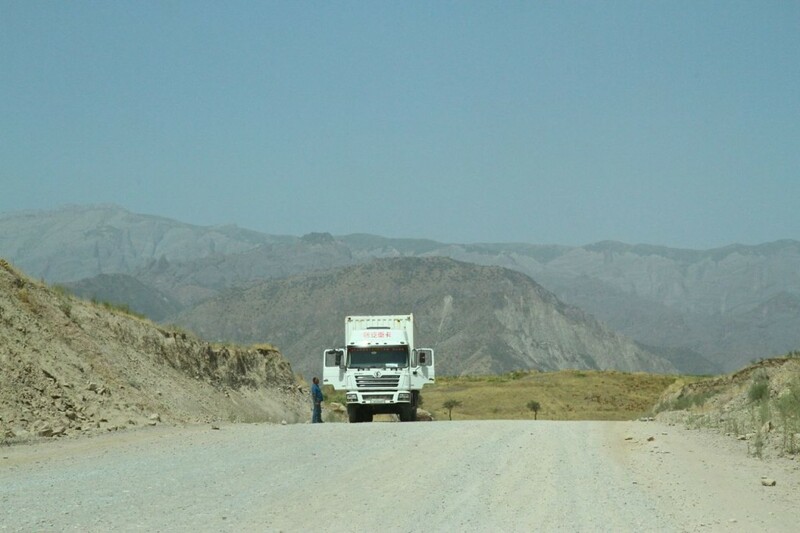 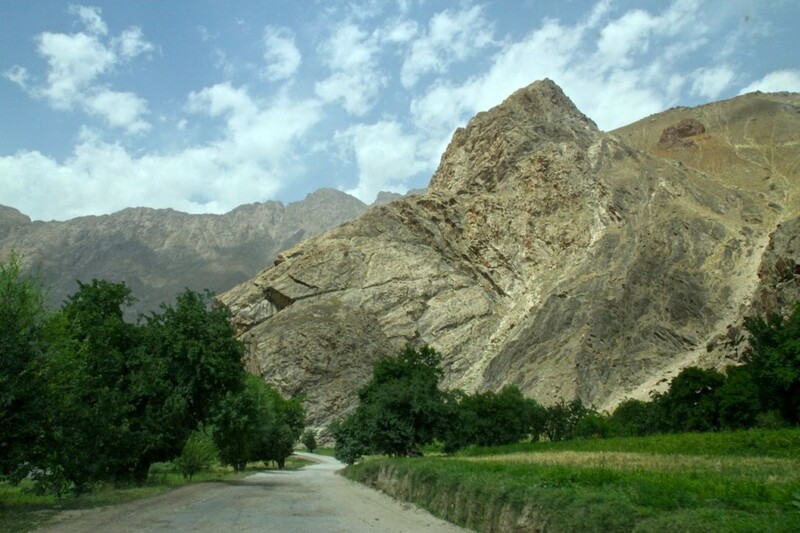 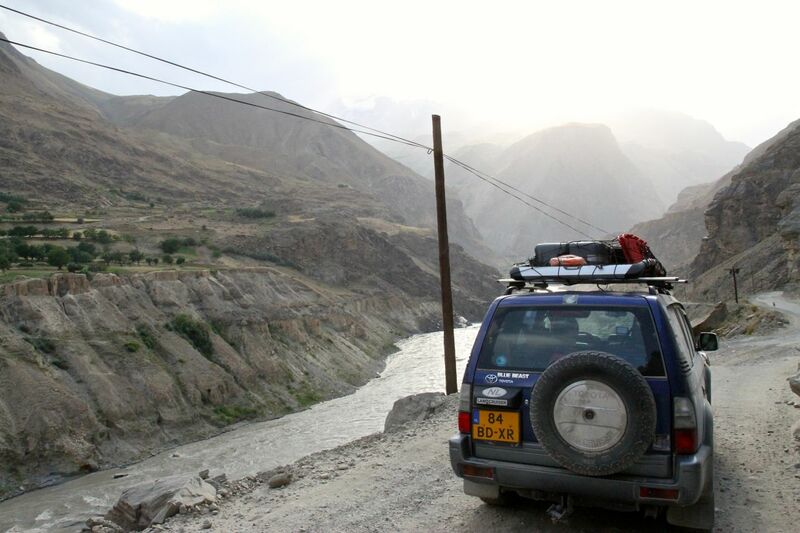 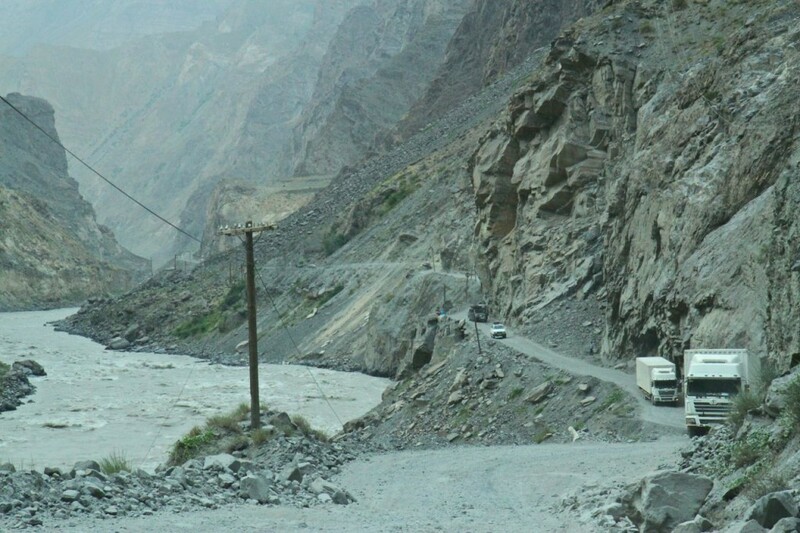 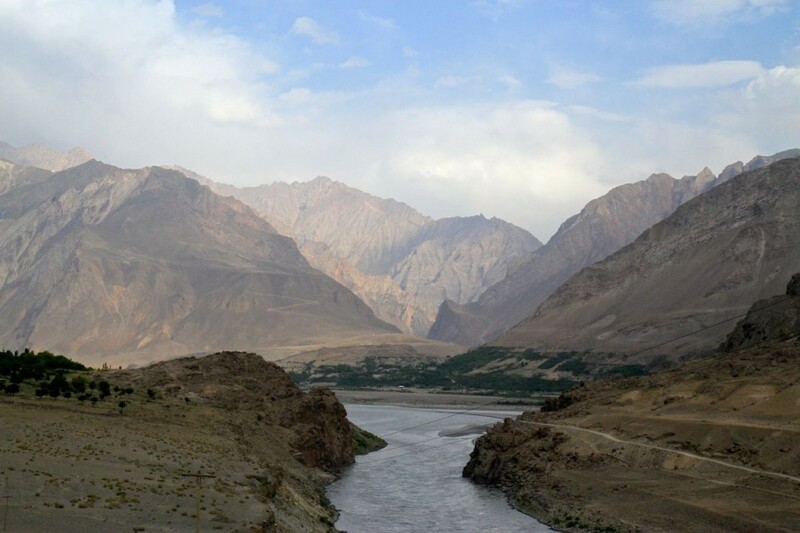 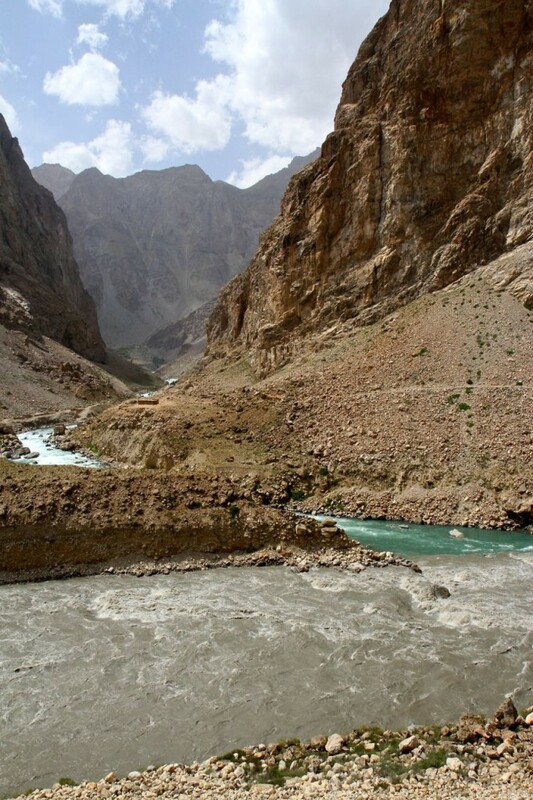 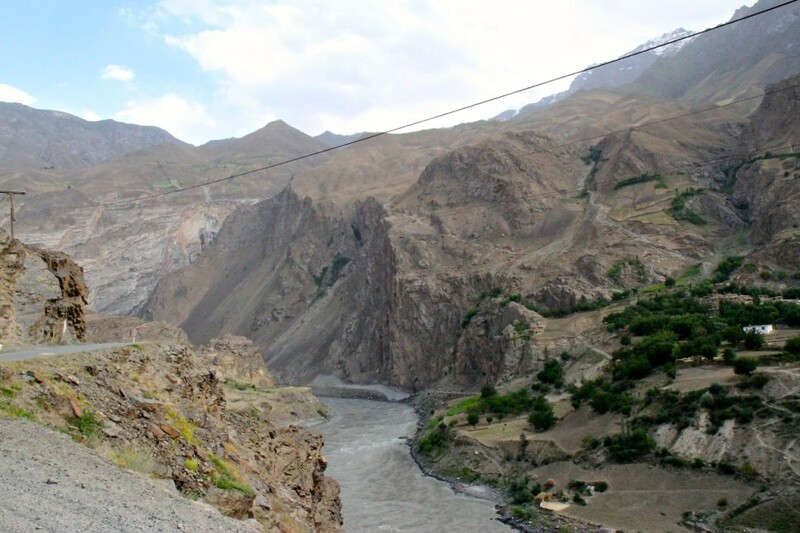 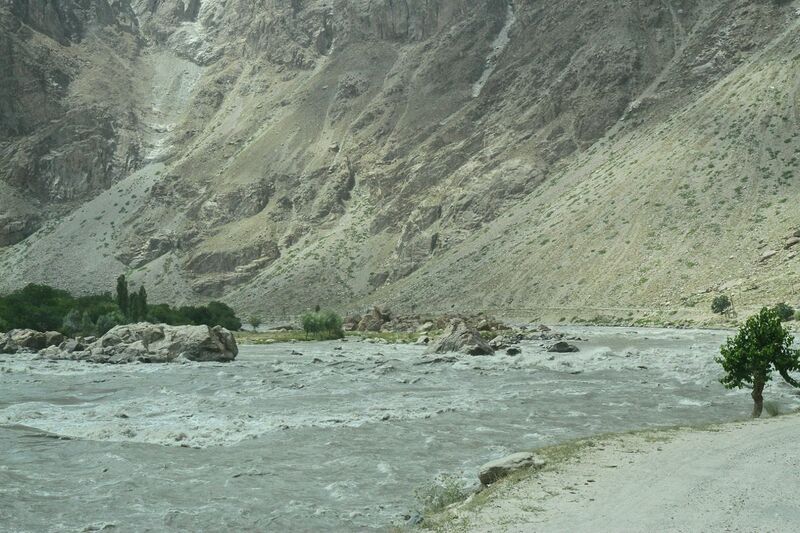 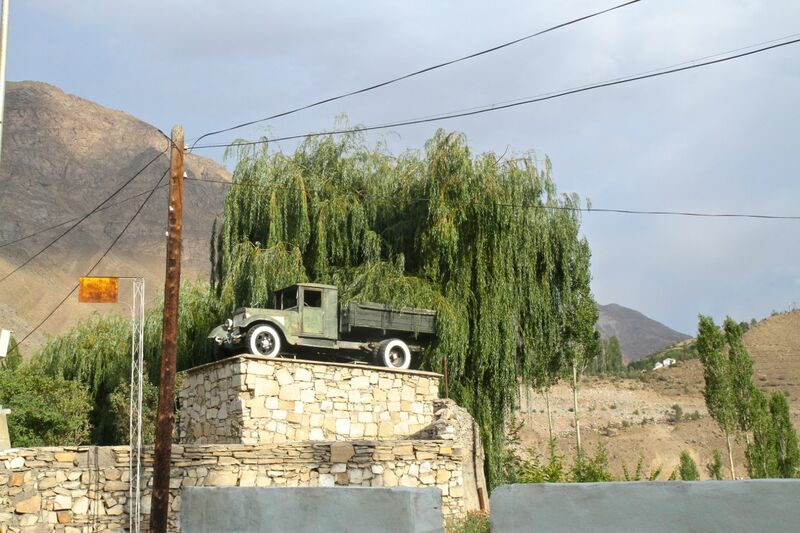 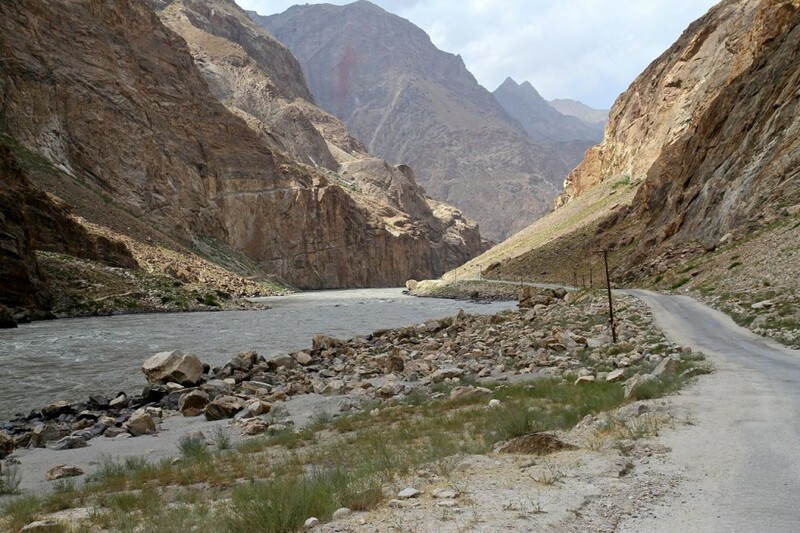 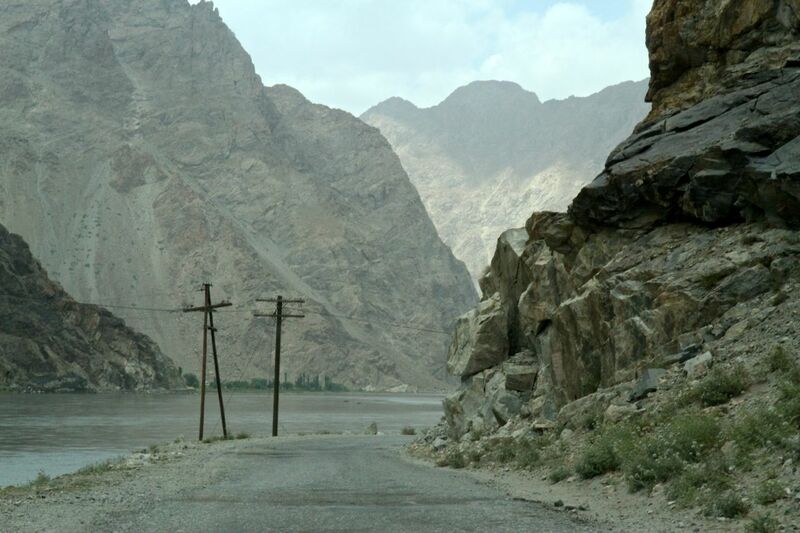 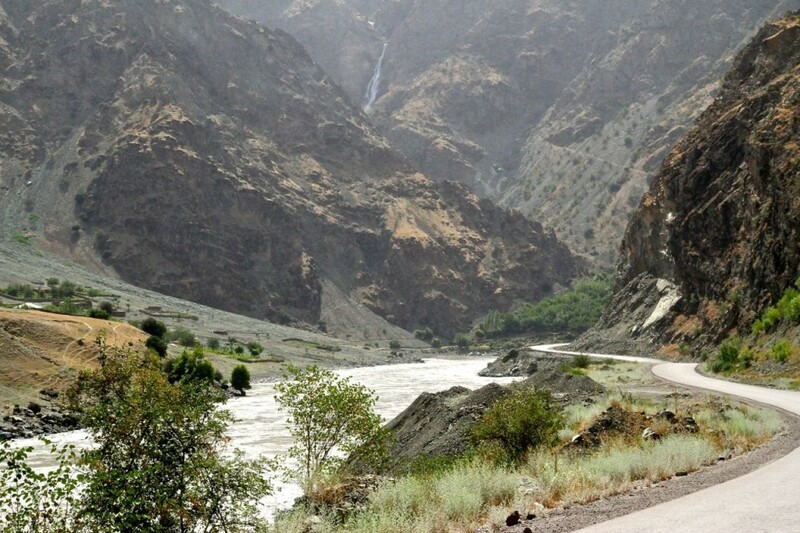 Especially the part along the Panj-river dividing us from Afghanistan was sometimes so steep and bad, that we were truly wondering how on earth big trucks could drive along this road. 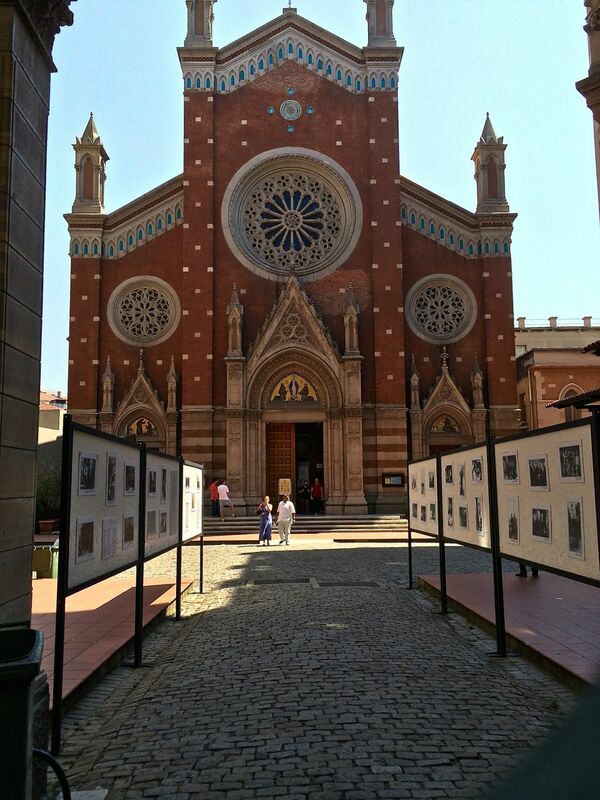 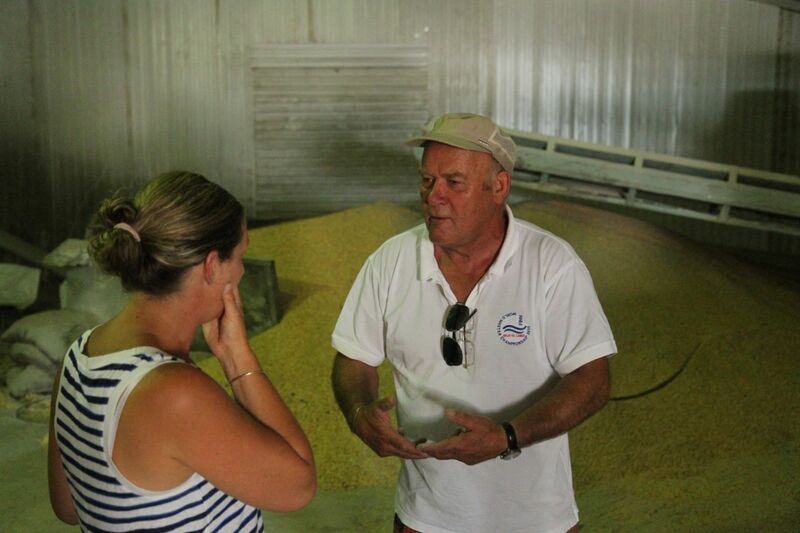 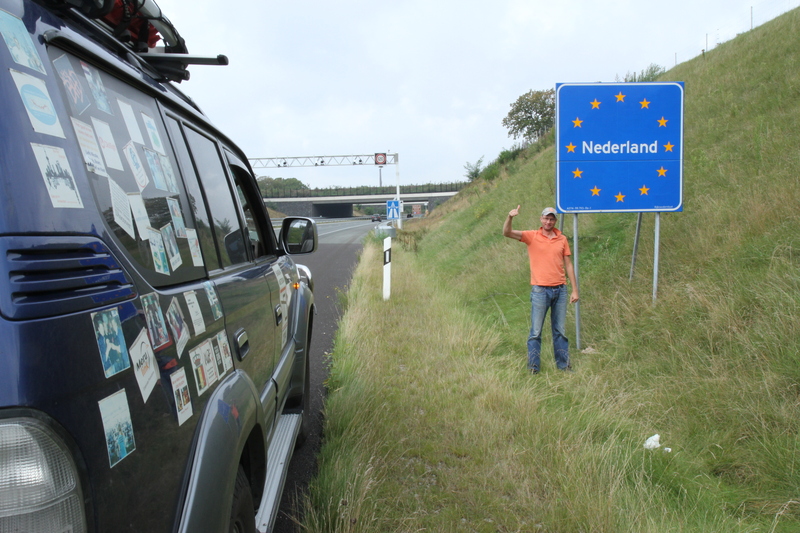 One day we drove 200 kilometres only, which took us more than eight hours to complete. 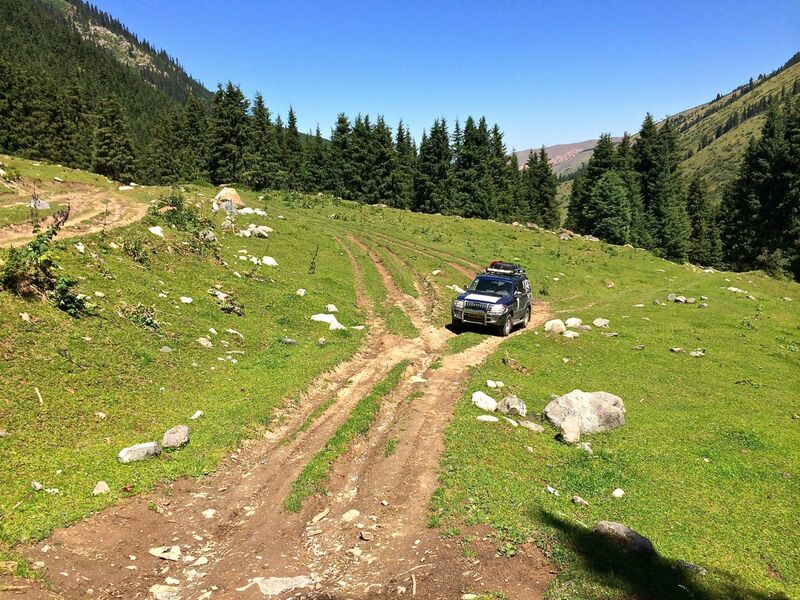 Our 4×4 car already had difficulties ascending sometimes. 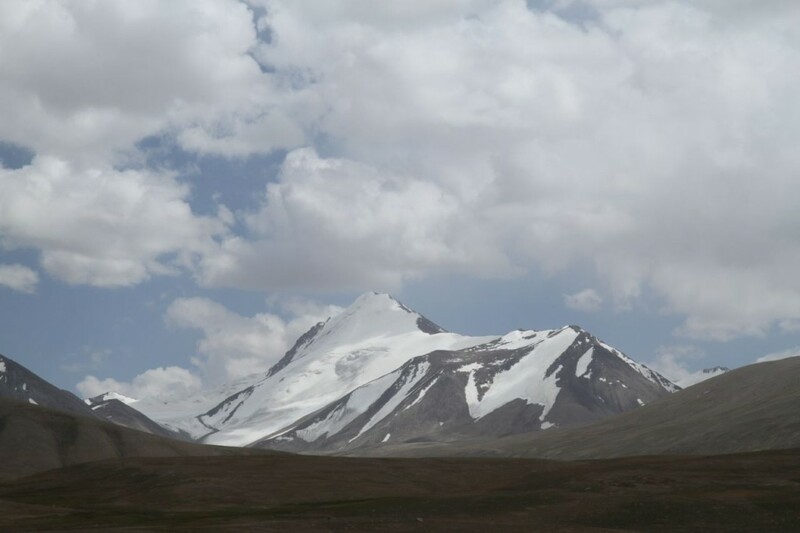 spitting out big plumes of black smoke, because of the lack of oxygen at these altitudes. 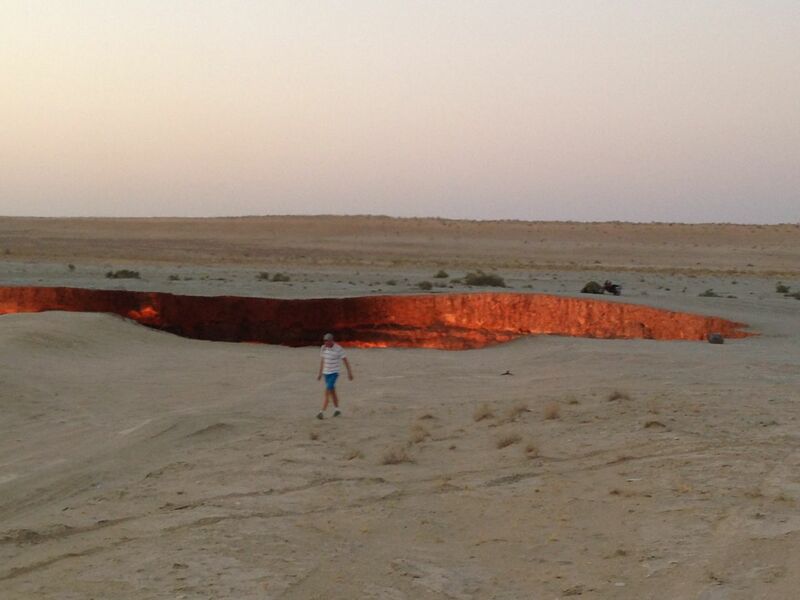 But it was all so worth it! 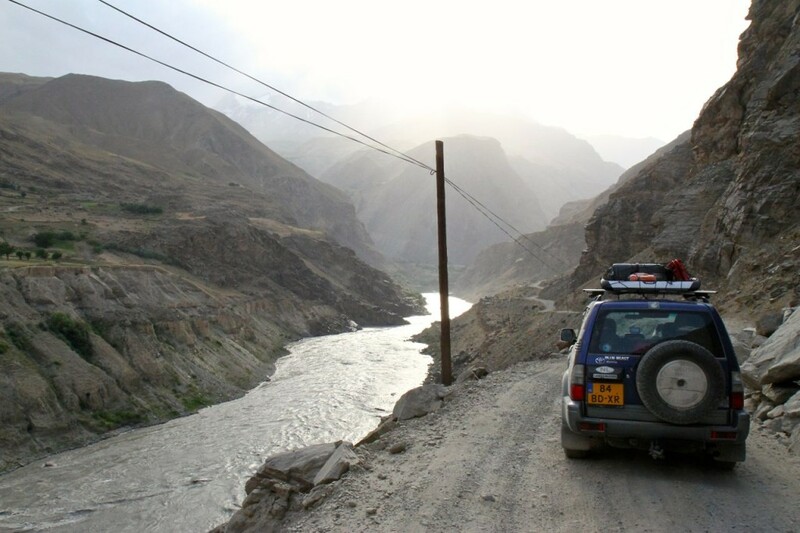 Its a very special feeling driving through huge canyons, flanked by some of the highest snow capped mountains in the world, along a wild streaming river with on the other side Afghan villages. 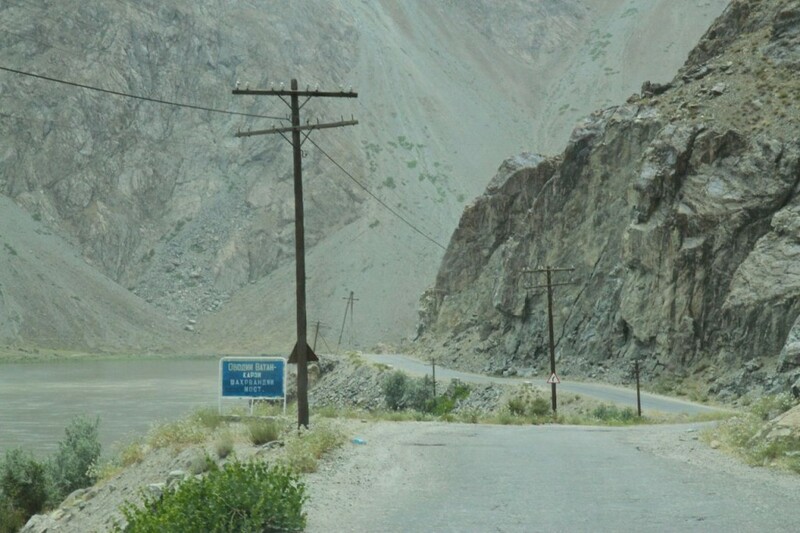 Yes, it’s bad for your car to drive this road and yes, the road sometimes is only one lane wide, meandering under rocks without fences to protect you from falling off a cliff, but it actually sounds more scary than it is when driving yourself. 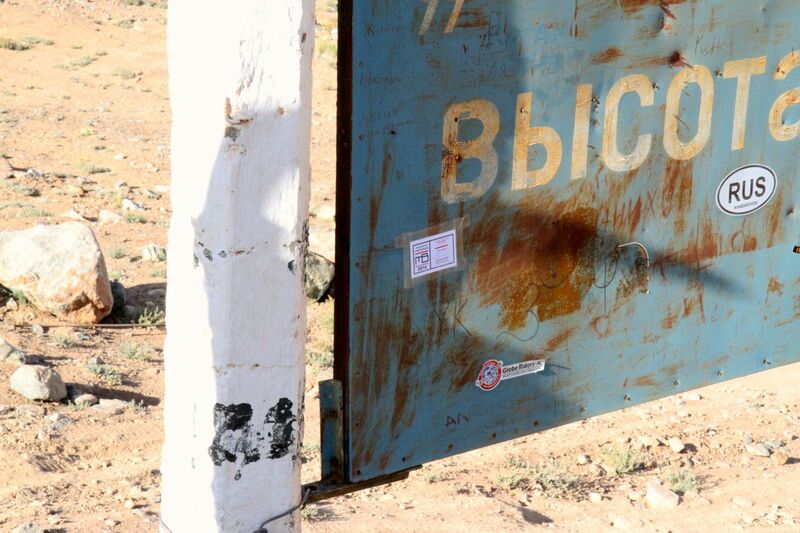 So what else to say? 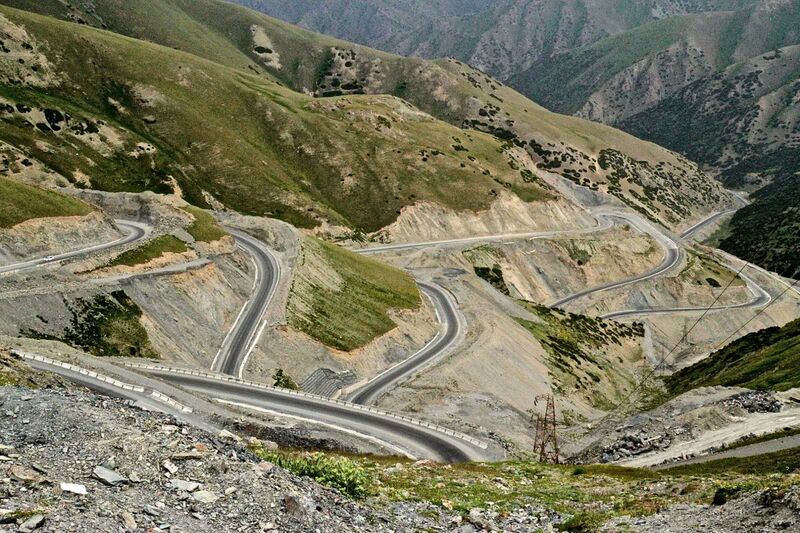 Maybe pictures do a better job than describing the most spectacular road in the world! 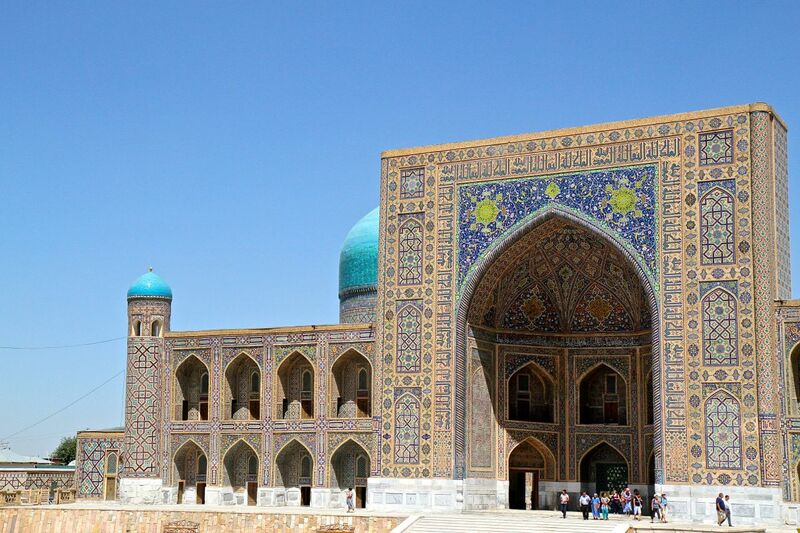 Enjoy them, while we are treating ourselves to some luxury in Dushanbe and preparing ourselves for our next leg, which will probably be the cultural highlight of our road trip: Samarqand, Bukhara and Khiva in Uzbekistan. 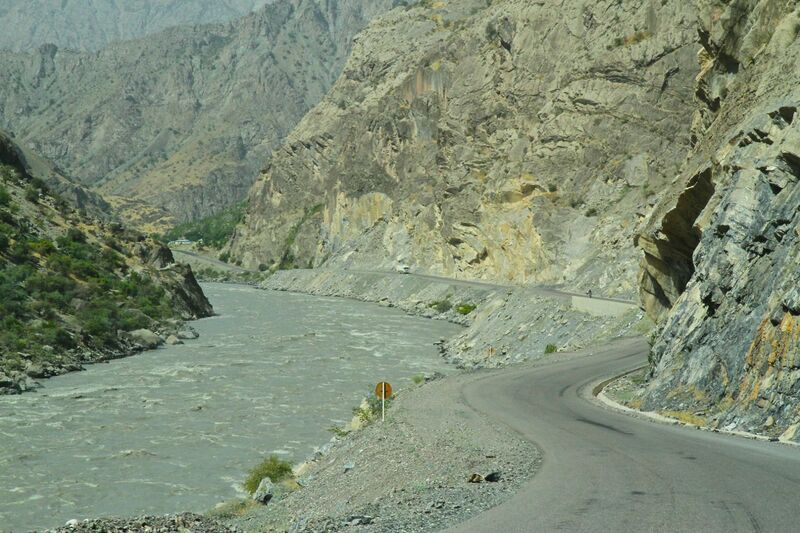 Have you counted how many “wow’s” you must have said along this stunning route? 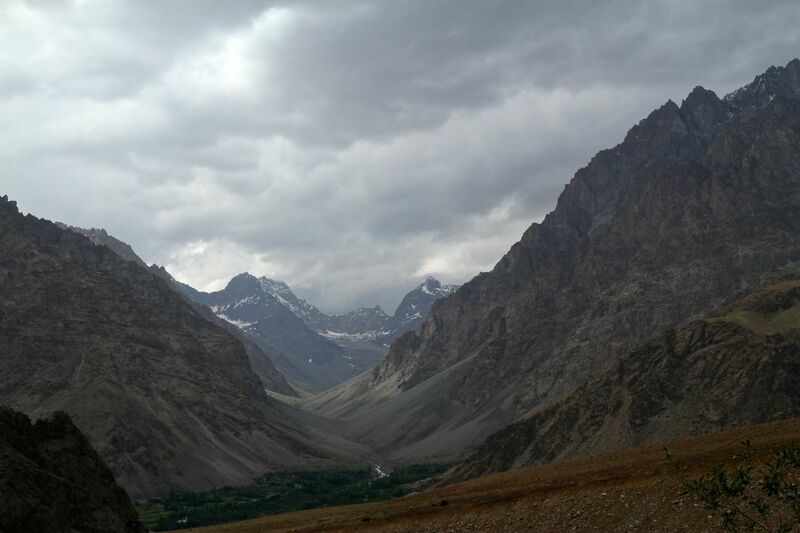 How amazing, how beautiful !!! 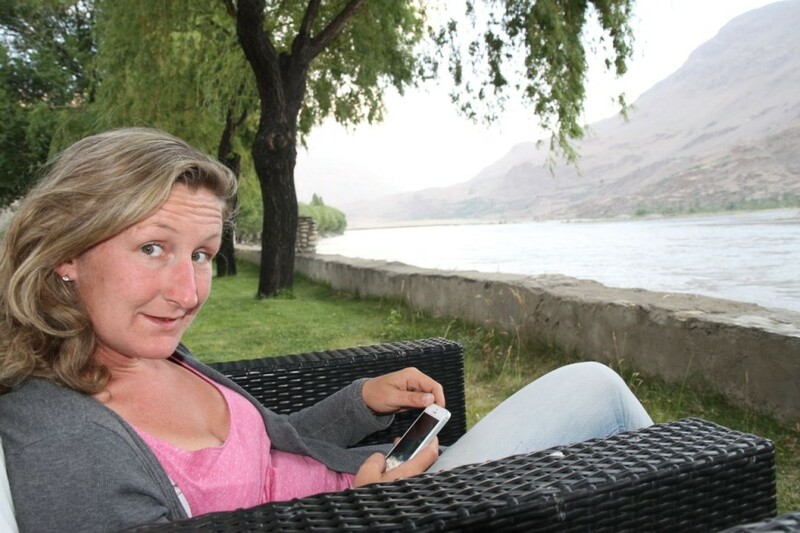 Dit wil ik eigenlijk met eigen ogen kunnen zien .Maar ja……….jullie fotos zijn geweldig. 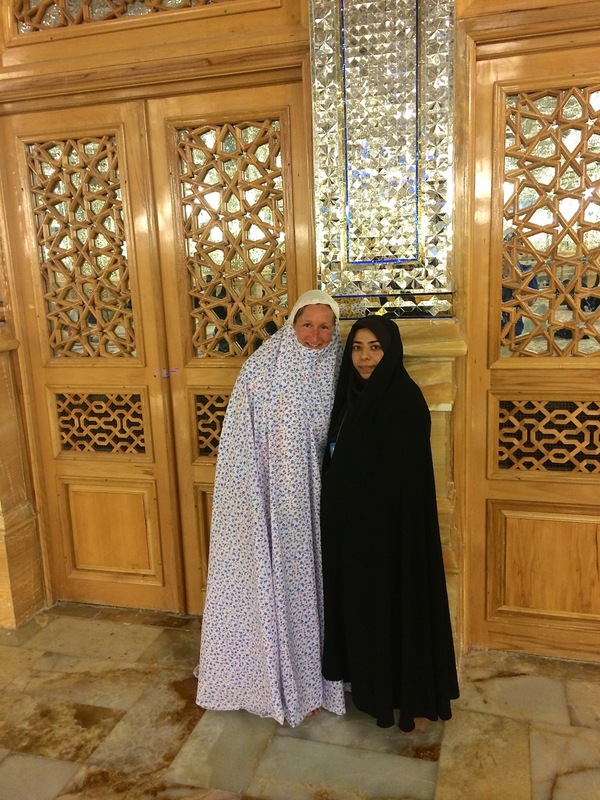 Geweldig dat we door jullie mooie verhalen en prachtige foto’s kunnen meegenieten. 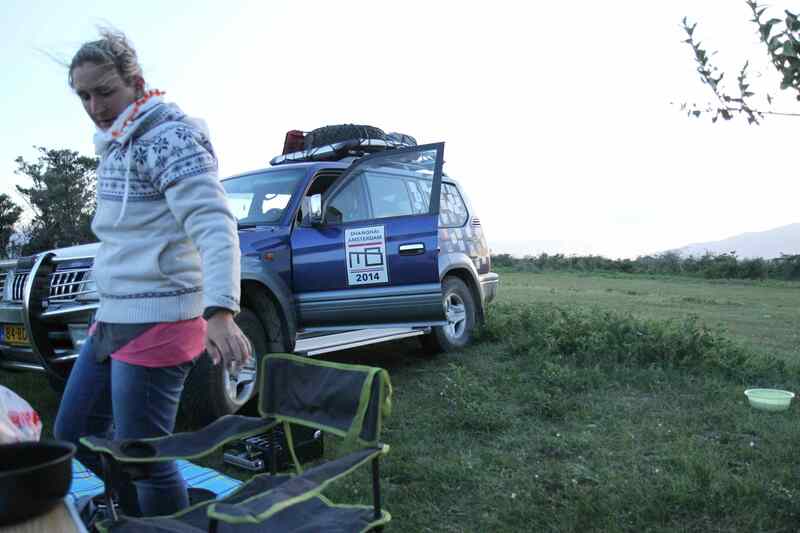 Thanx for your info and article. 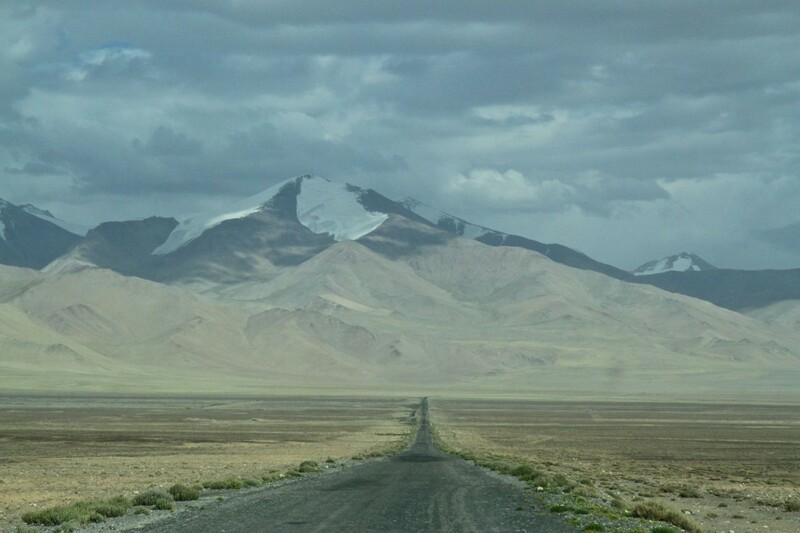 I am planning this trip as of right now.